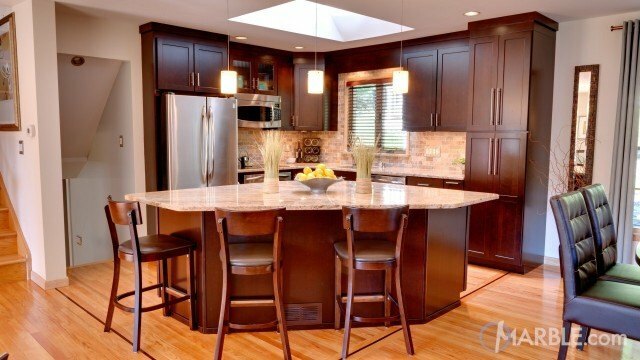 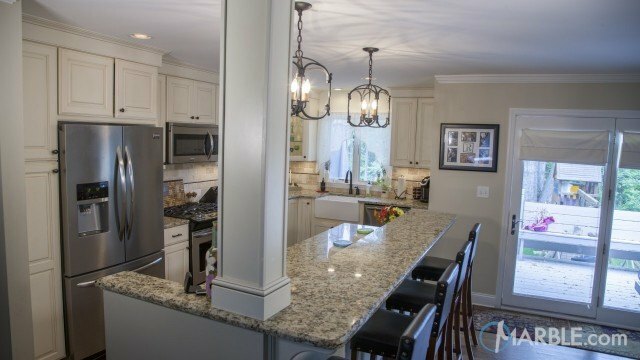 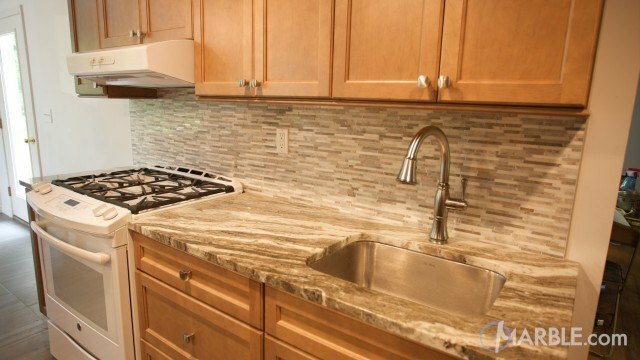 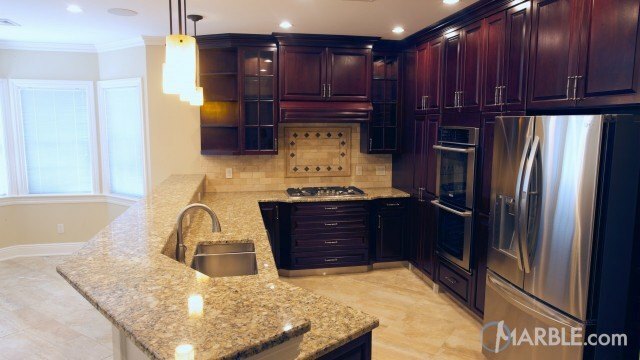 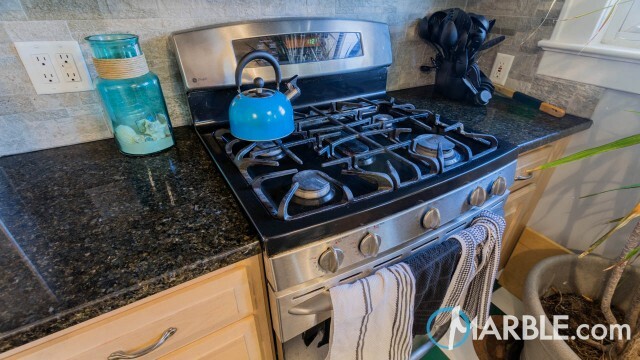 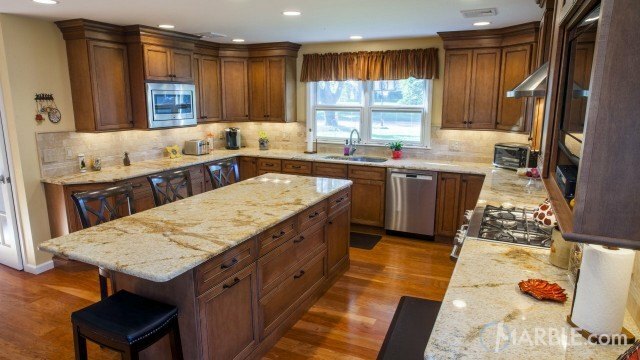 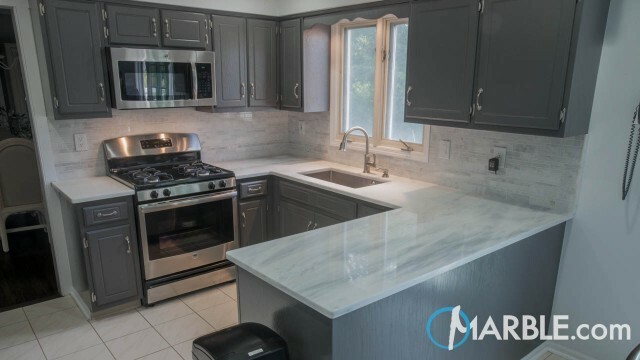 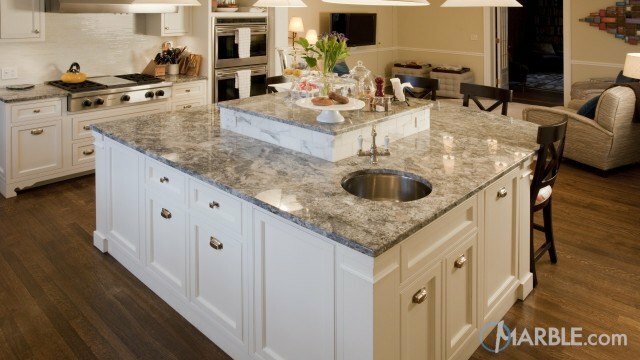 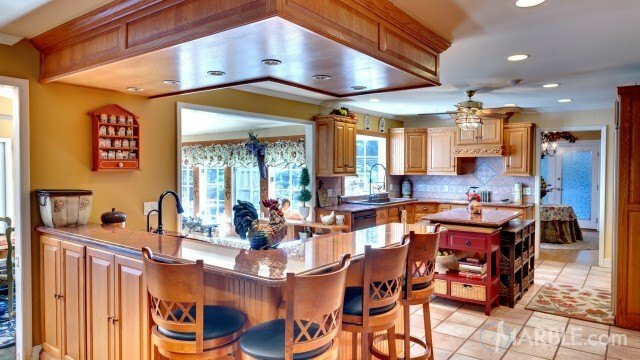 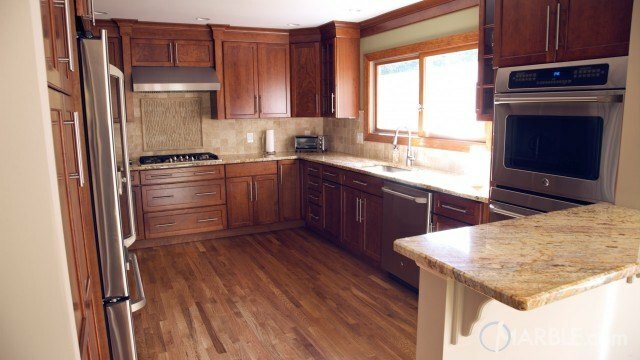 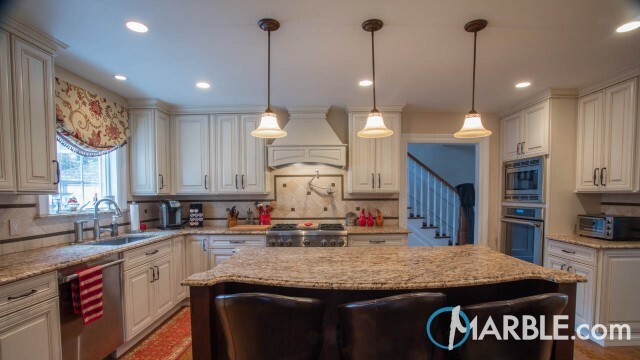 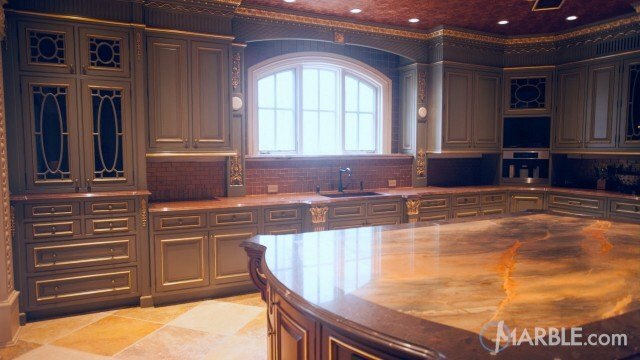 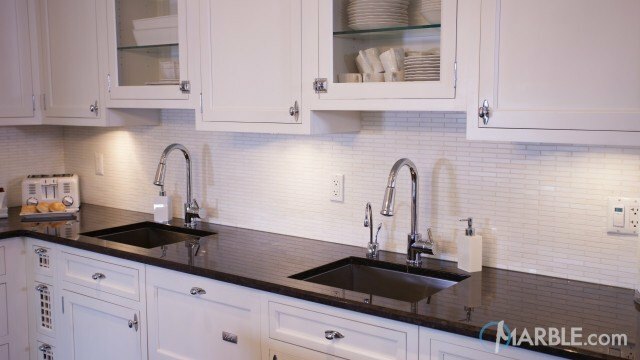 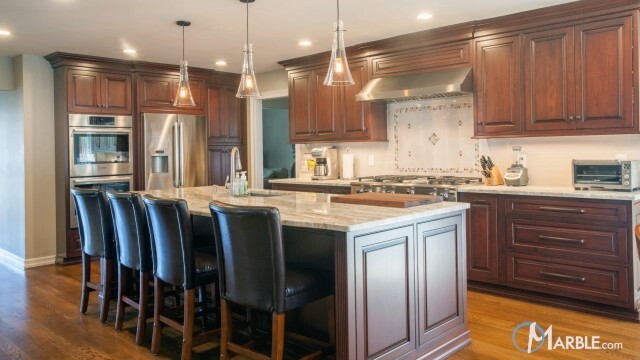 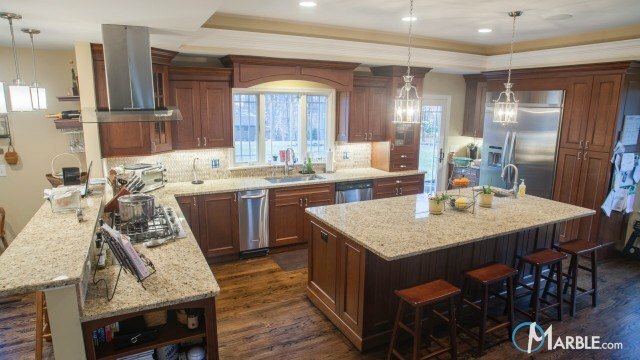 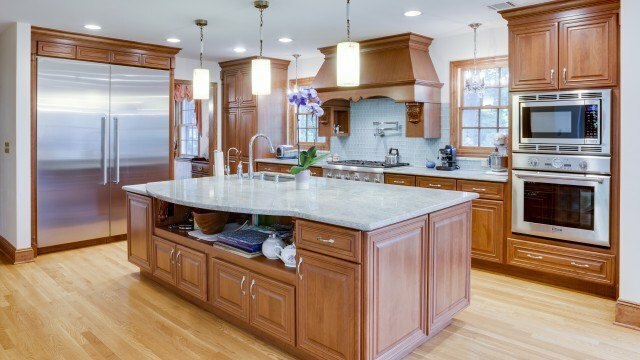 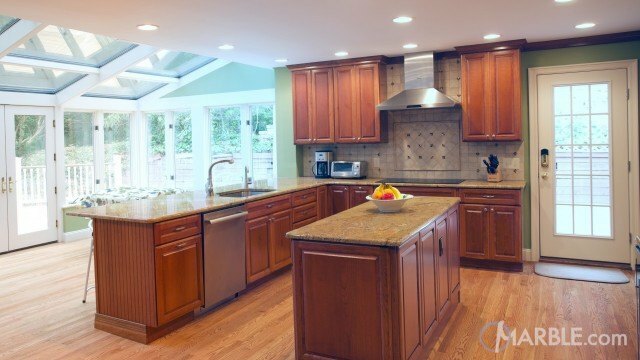 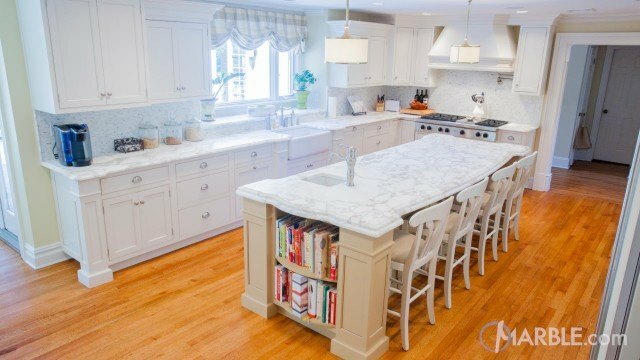 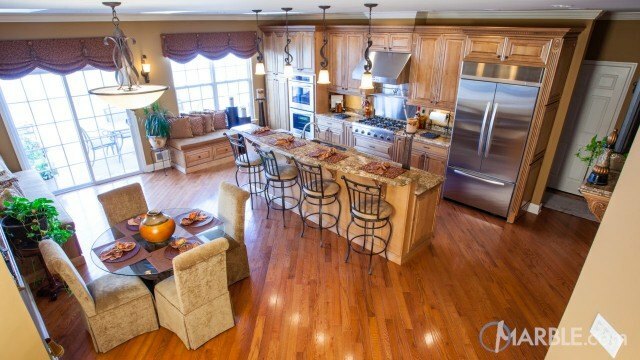 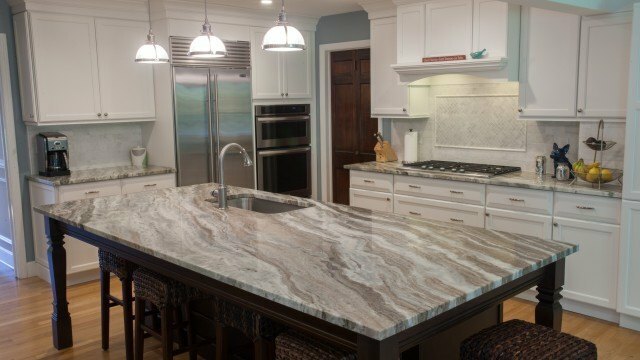 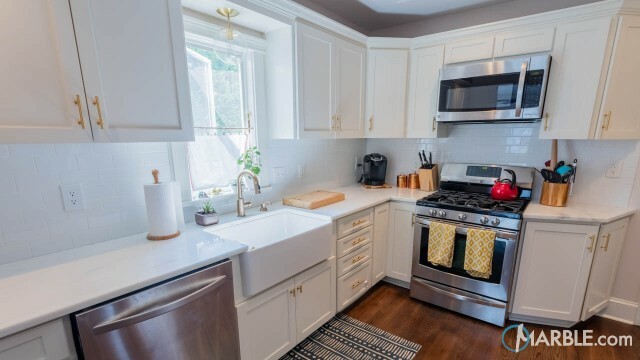 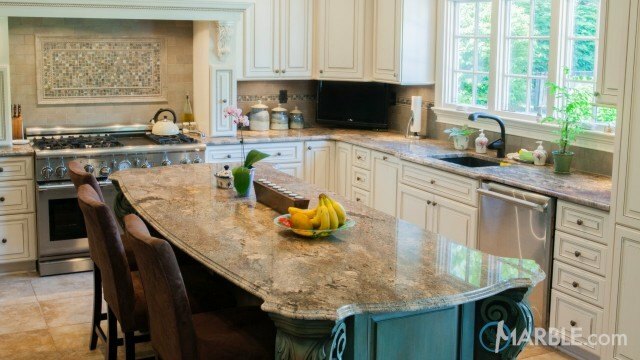 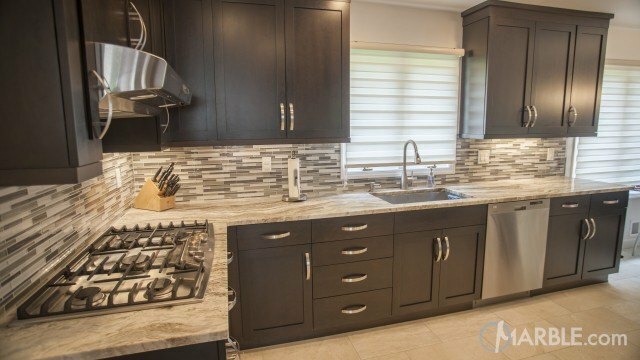 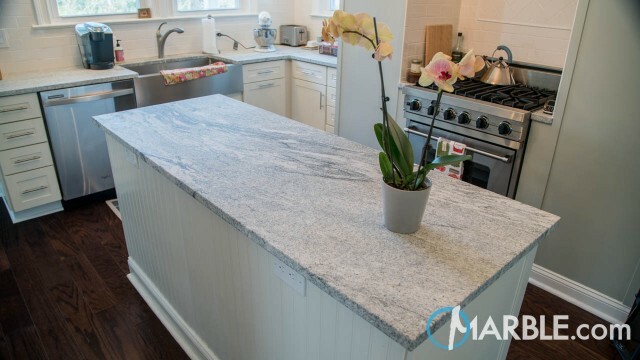 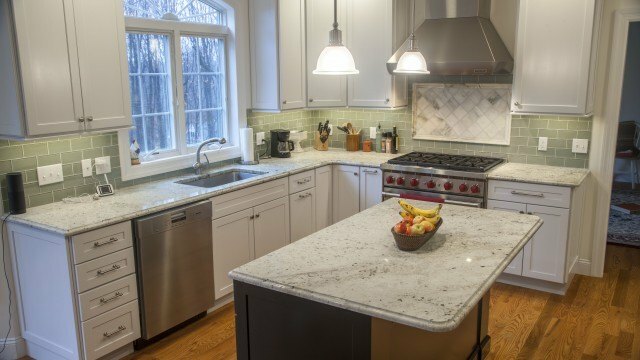 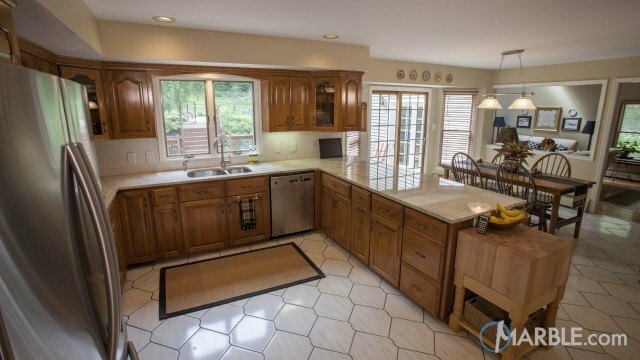 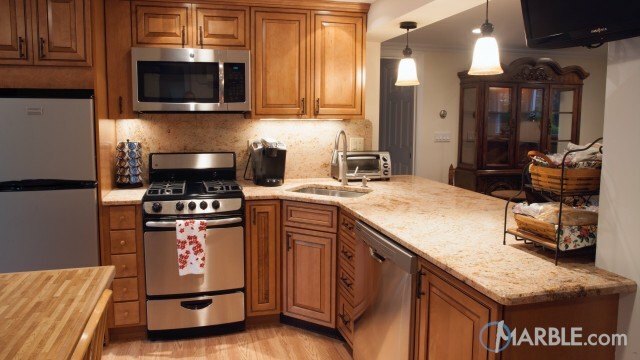 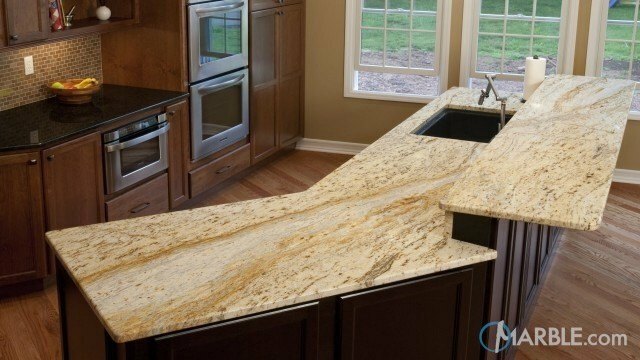 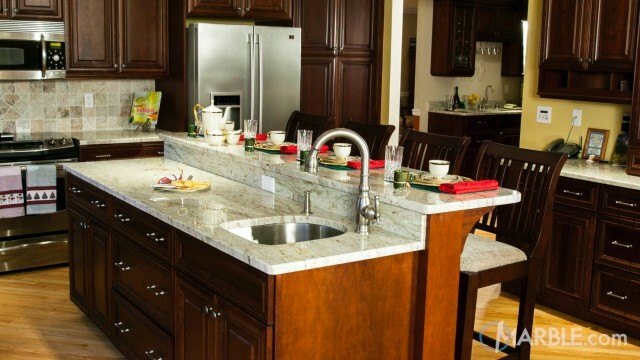 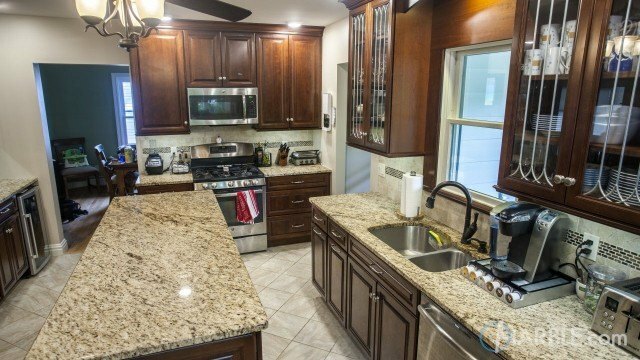 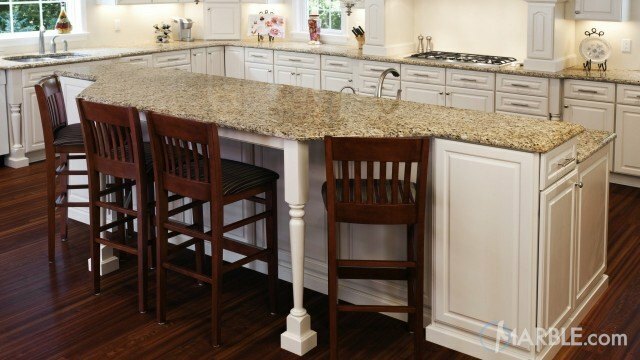 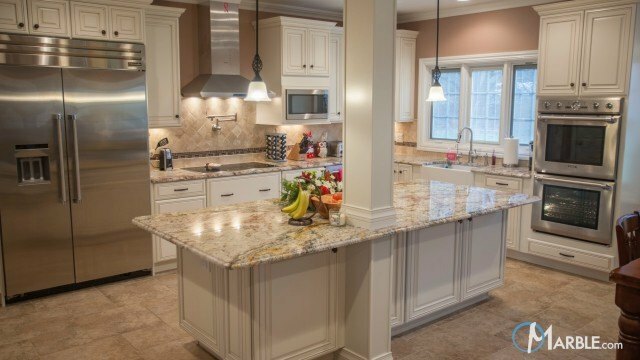 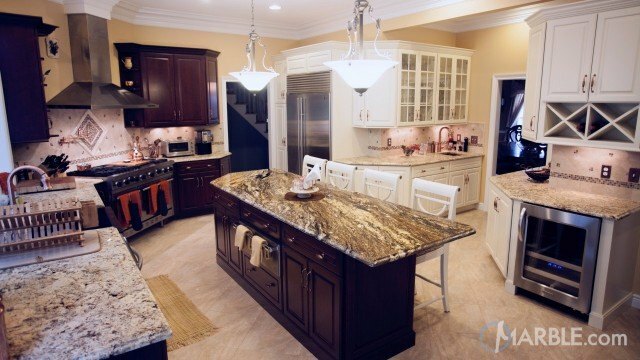 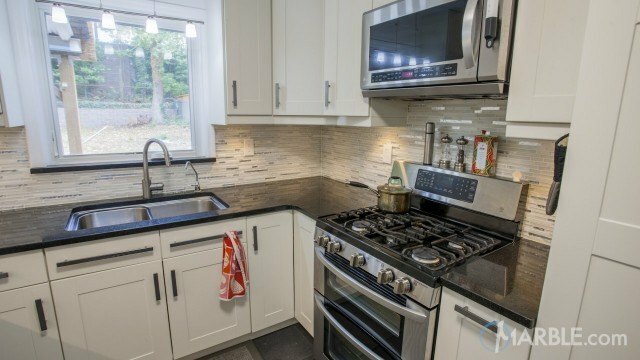 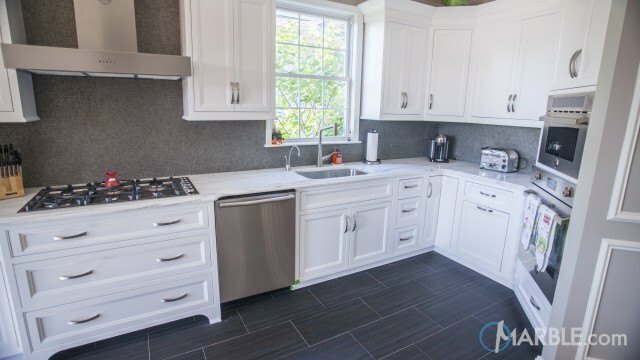 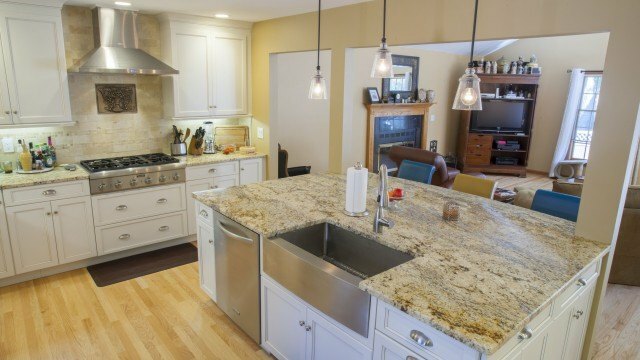 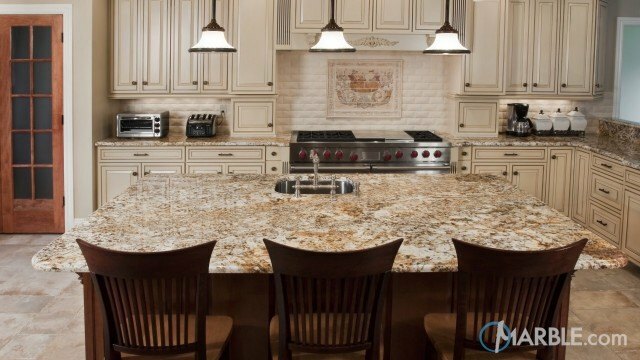 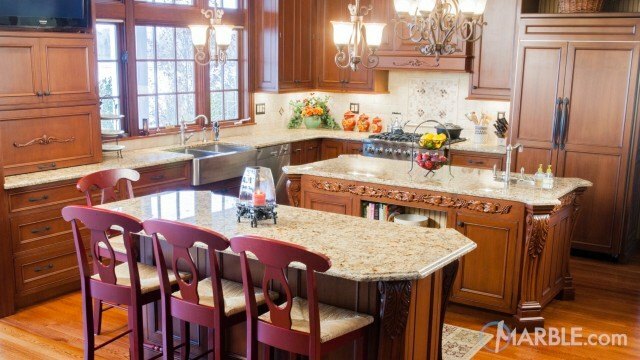 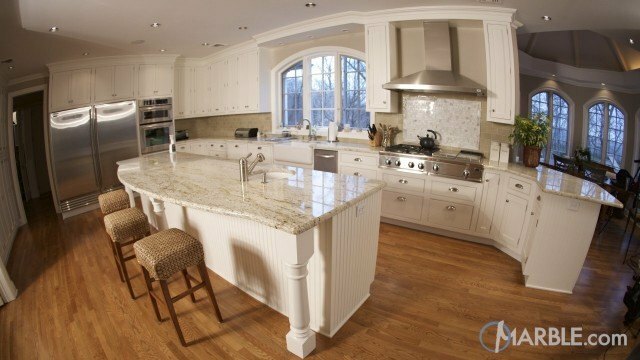 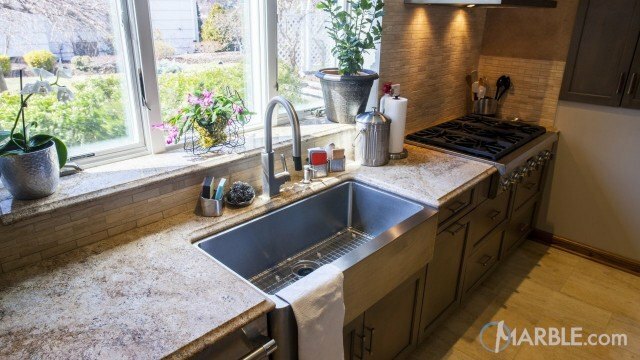 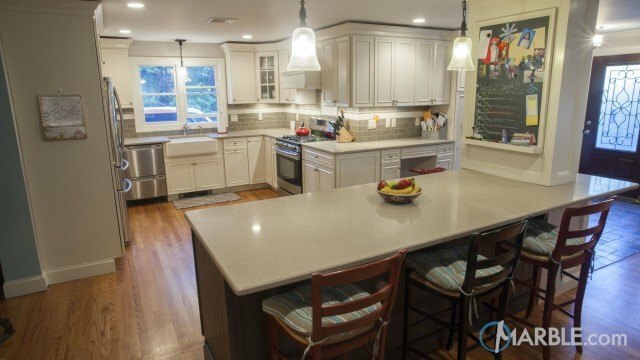 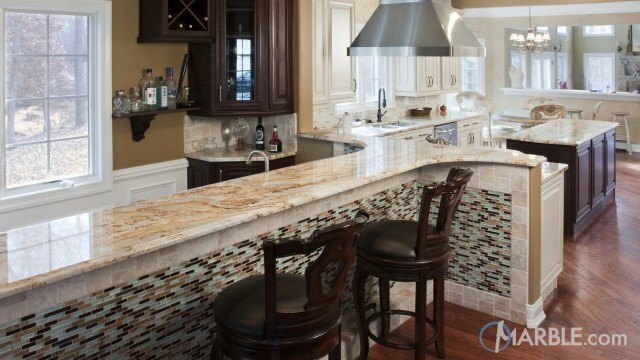 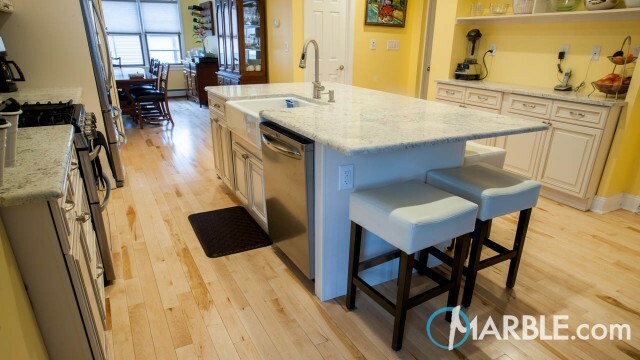 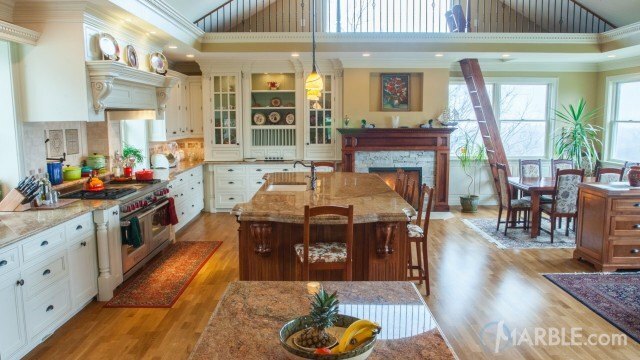 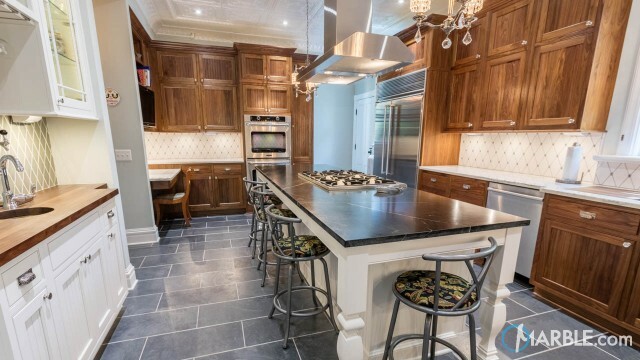 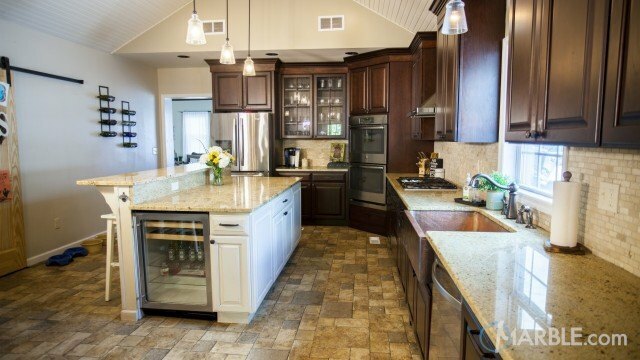 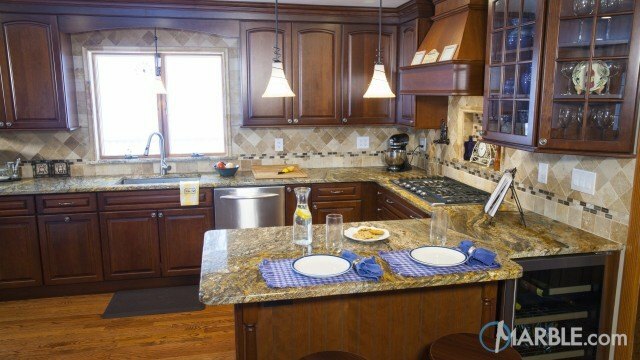 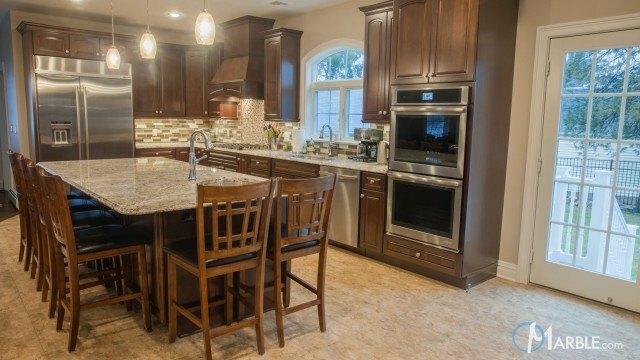 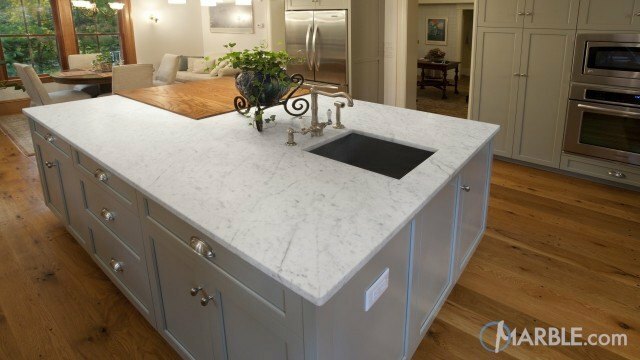 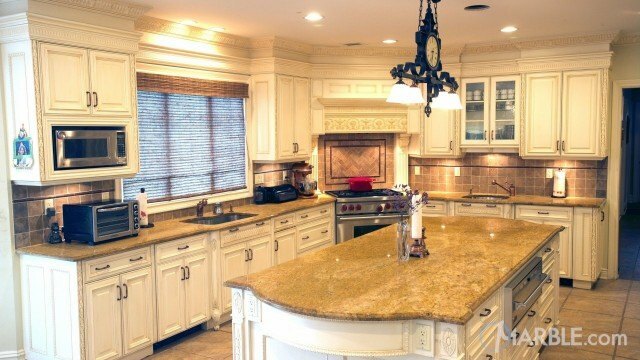 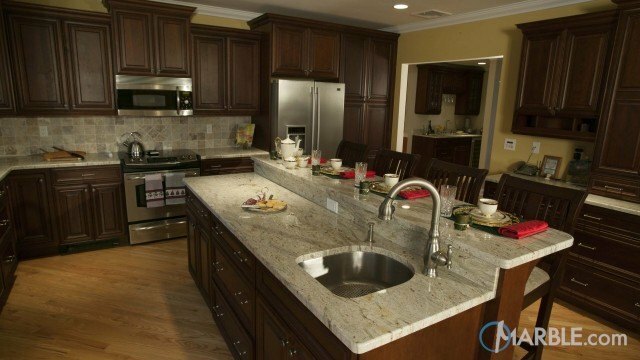 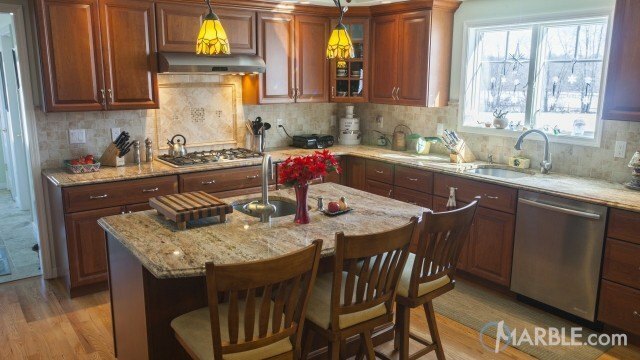 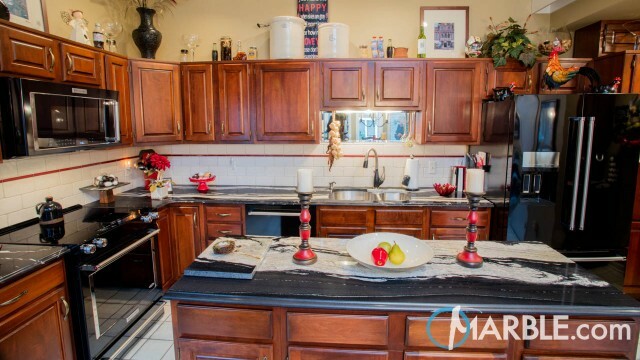 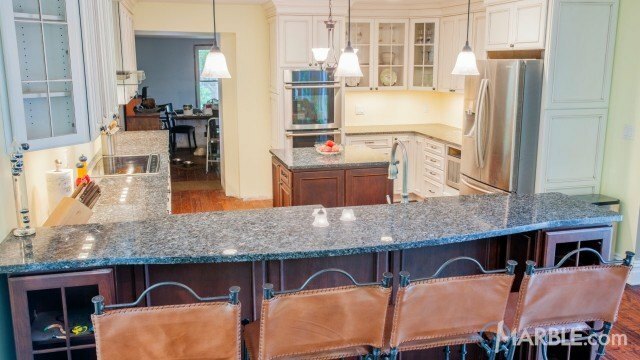 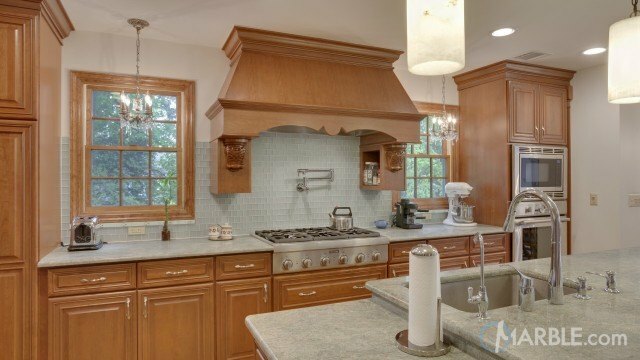 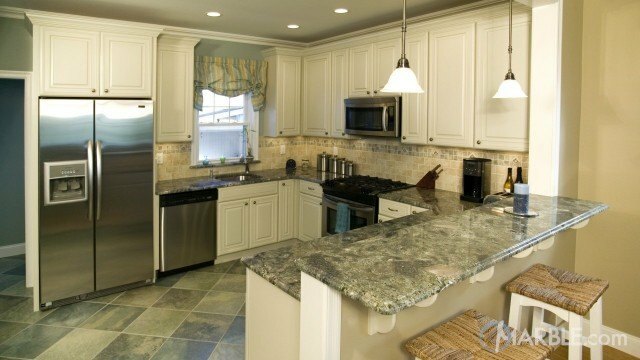 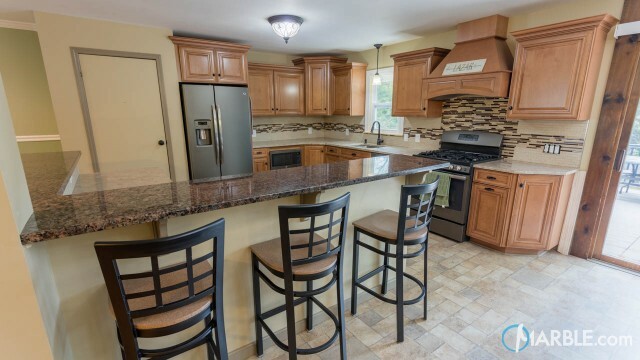 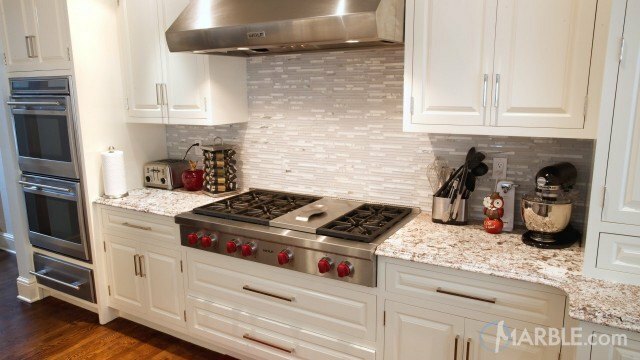 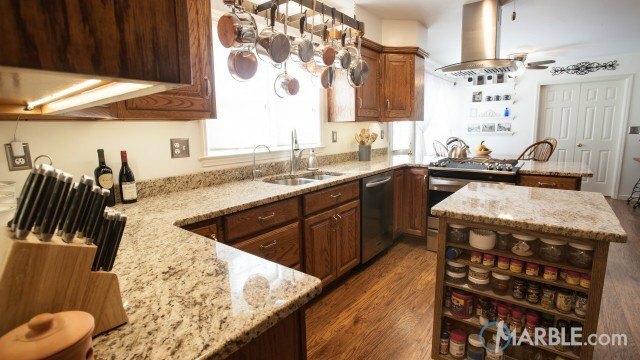 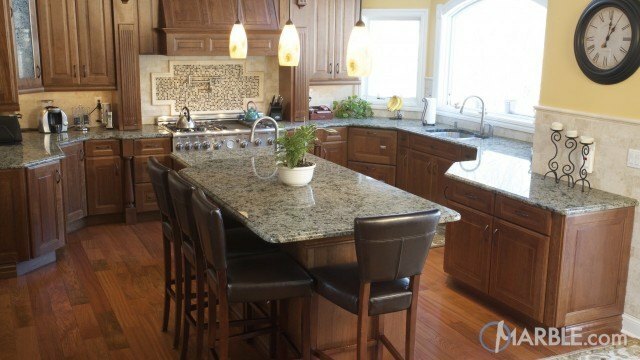 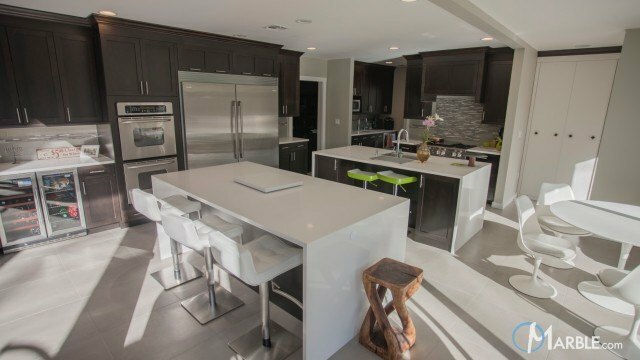 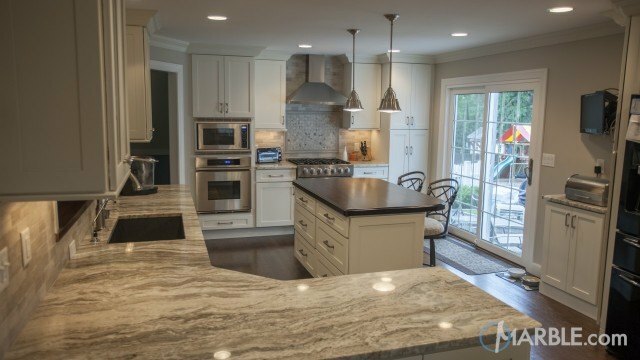 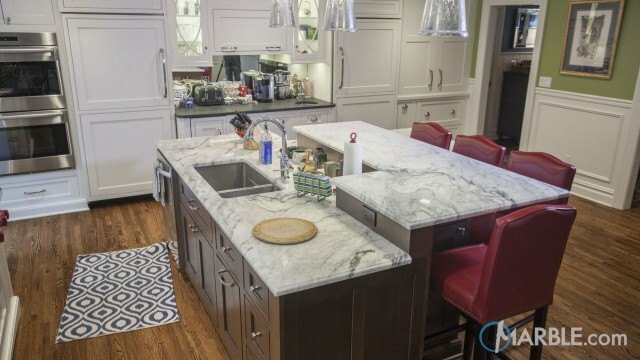 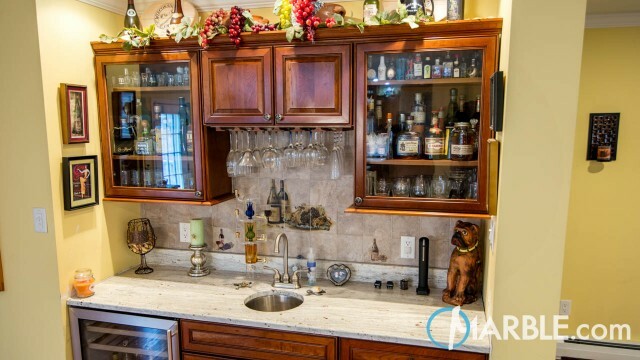 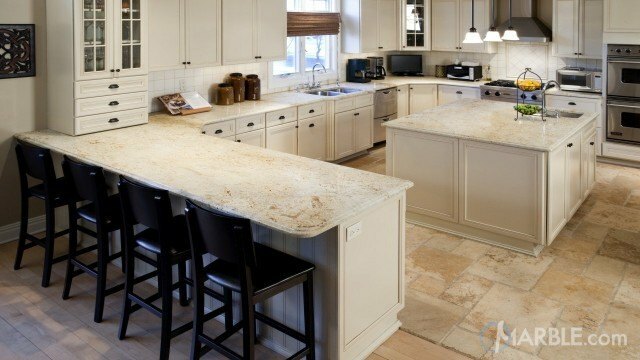 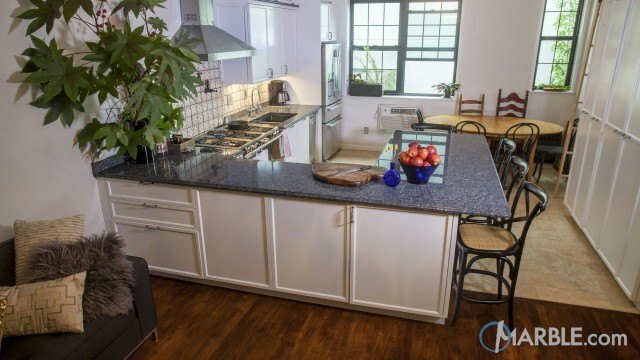 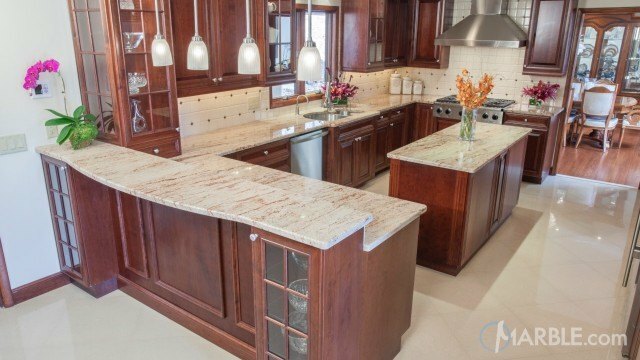 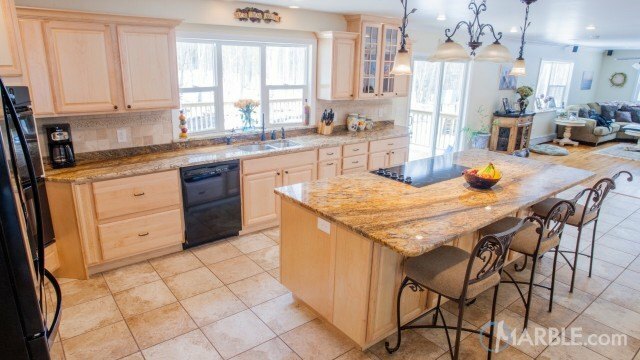 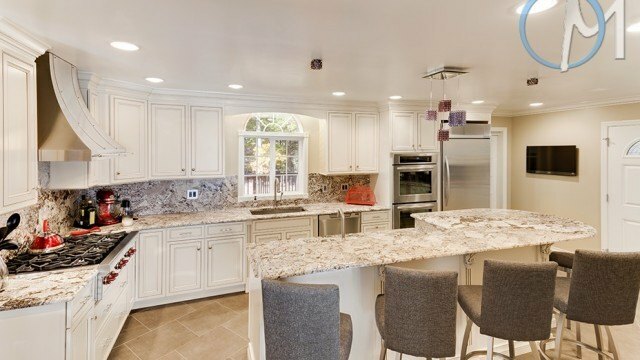 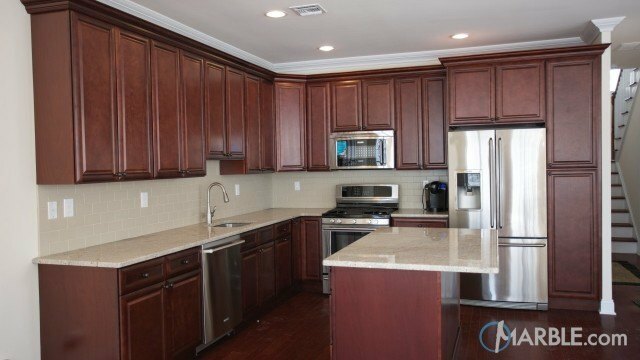 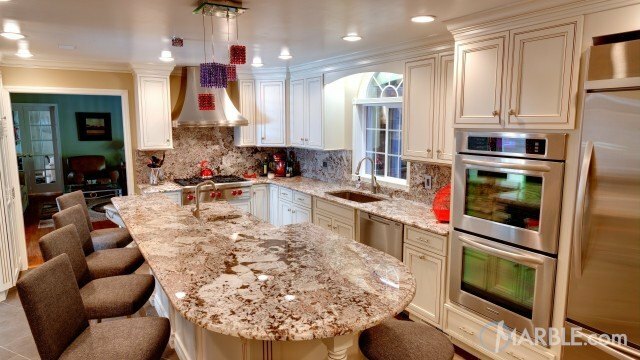 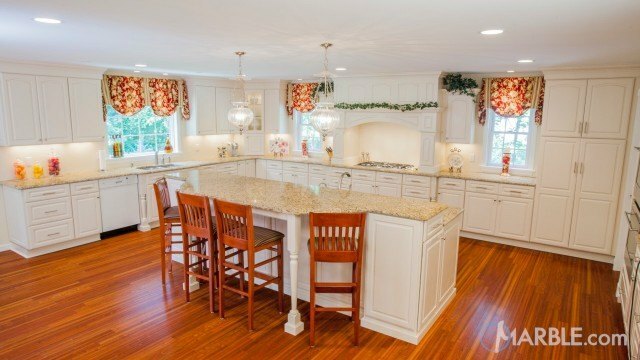 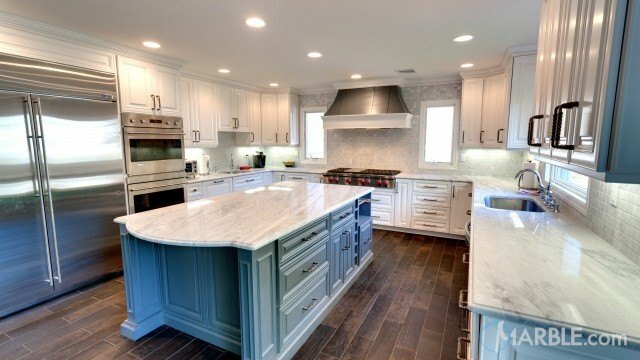 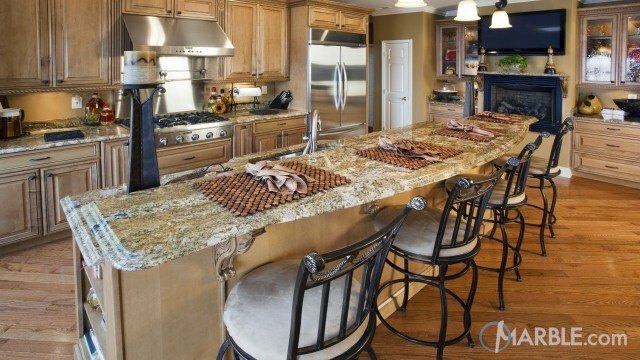 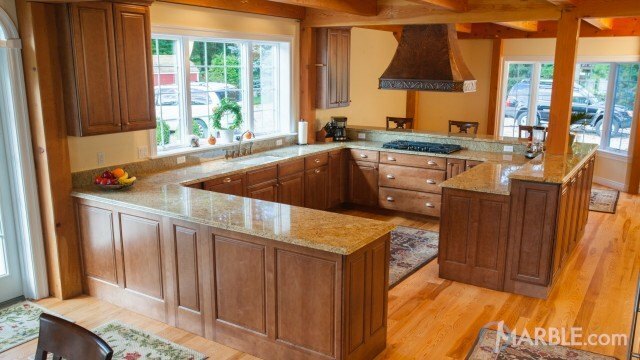 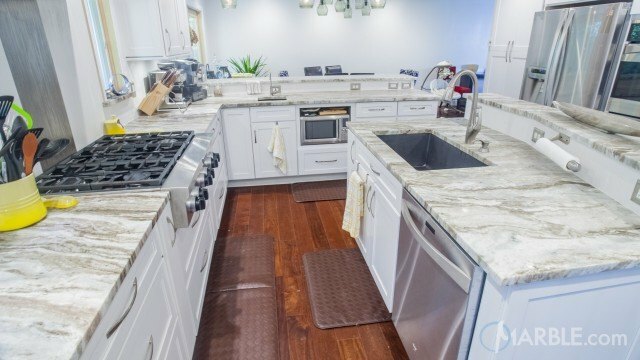 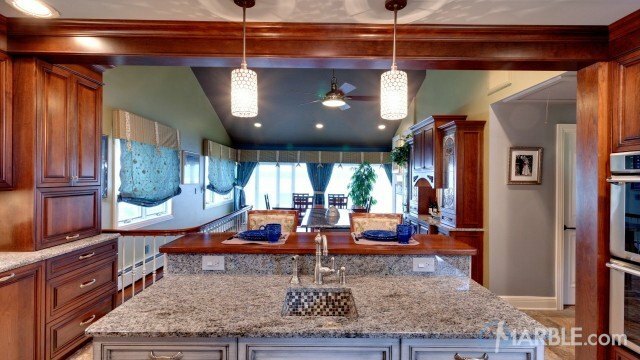 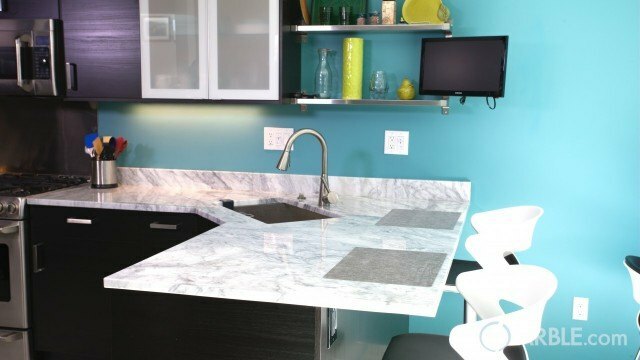 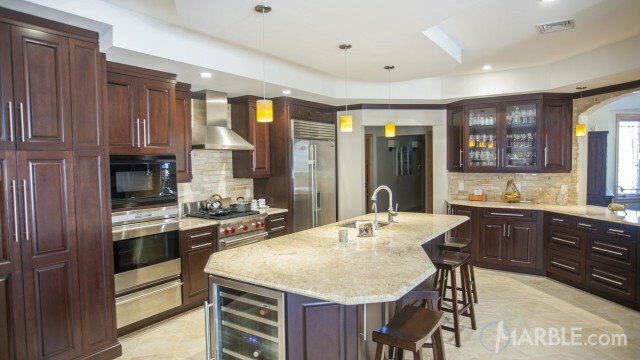 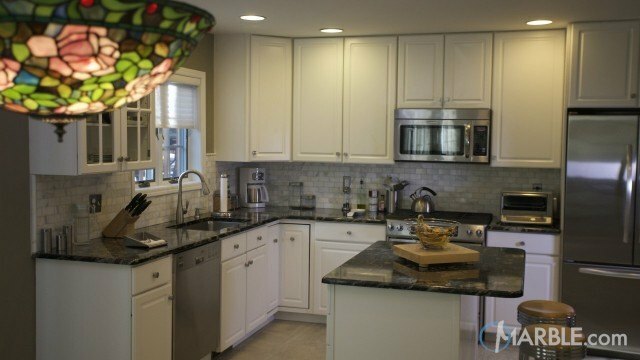 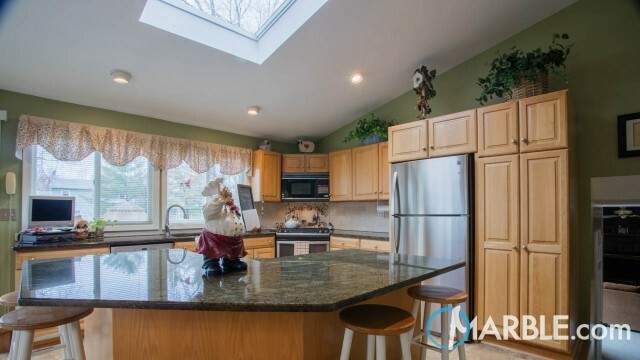 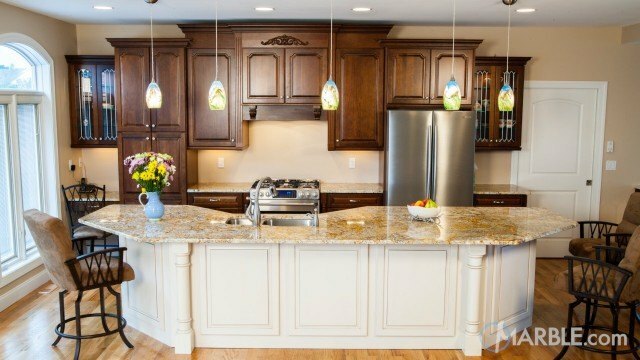 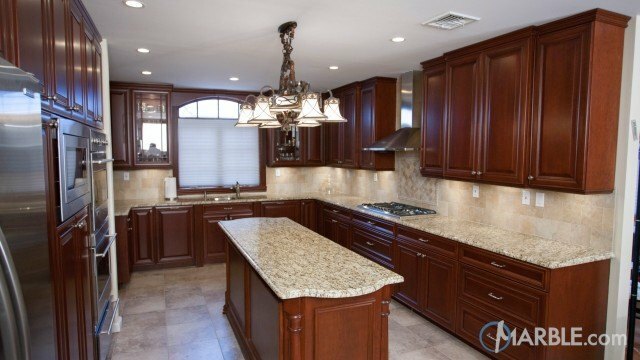 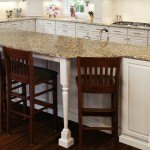 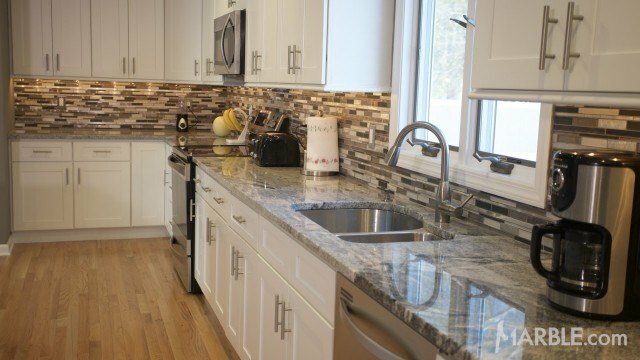 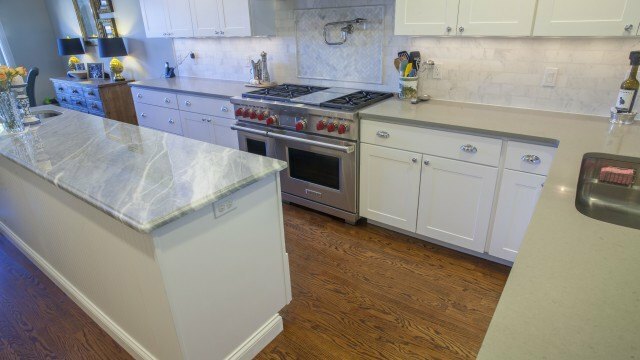 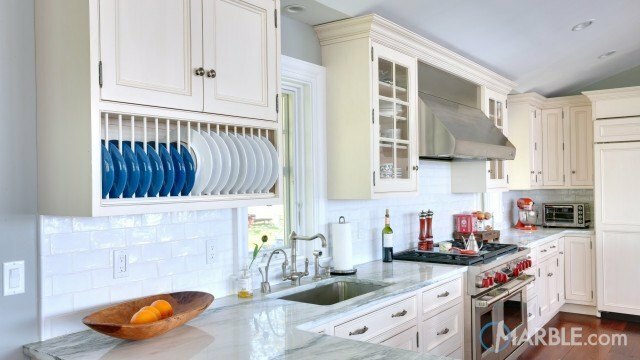 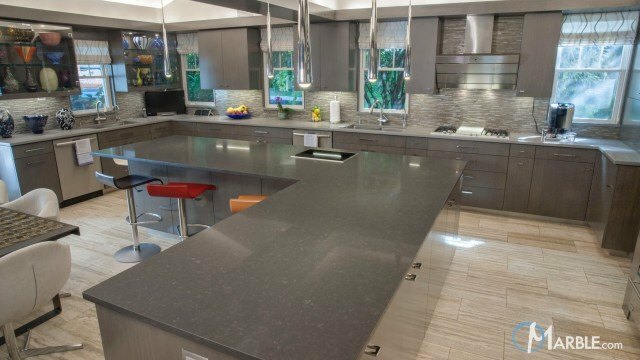 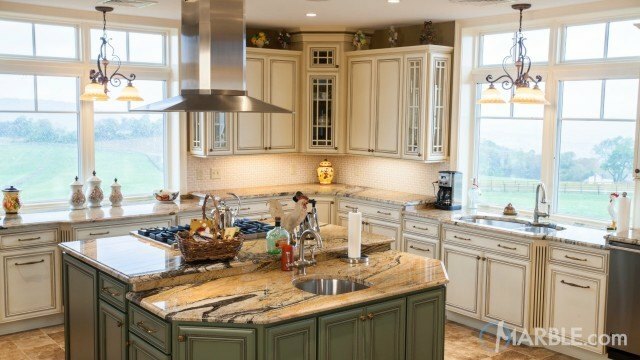 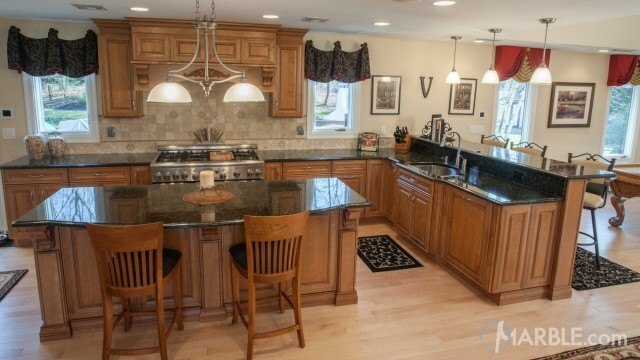 This versatile kitchen with a two-tiered island is perfect both for preparing food and enjoying it with family and friends. 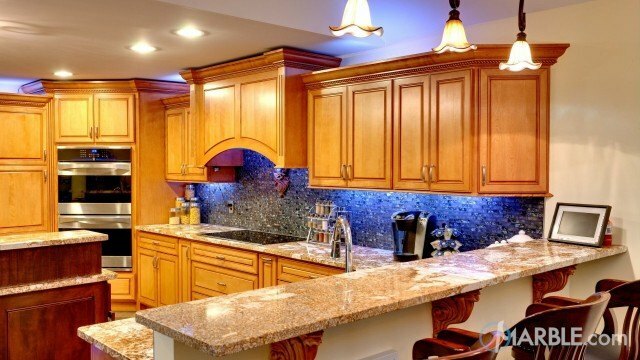 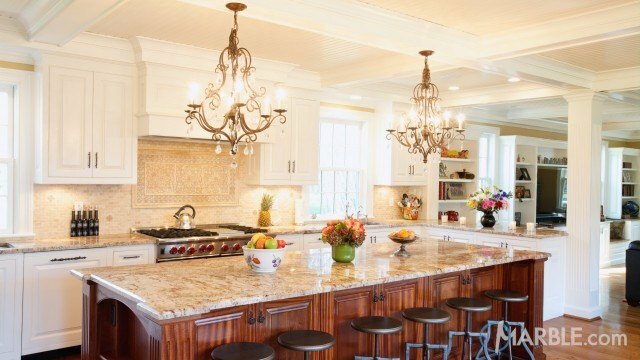 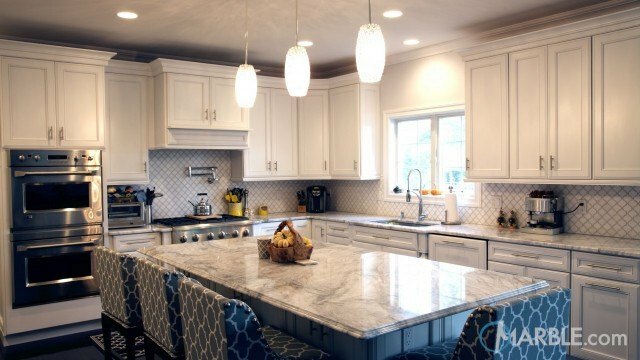 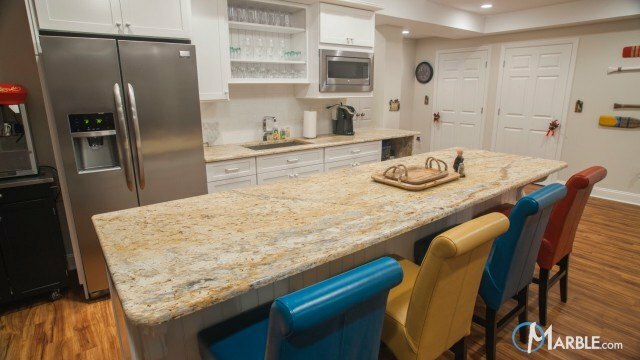 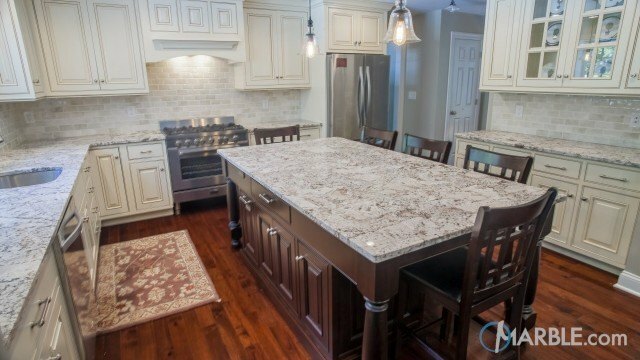 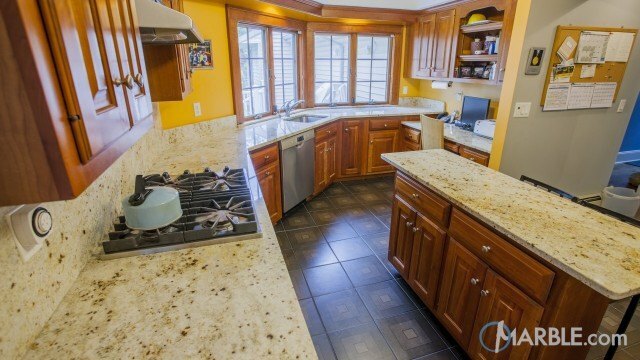 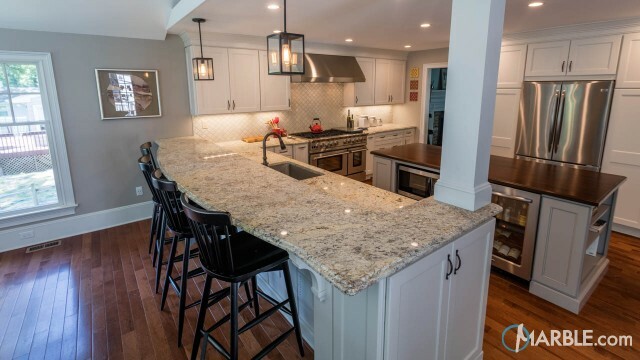 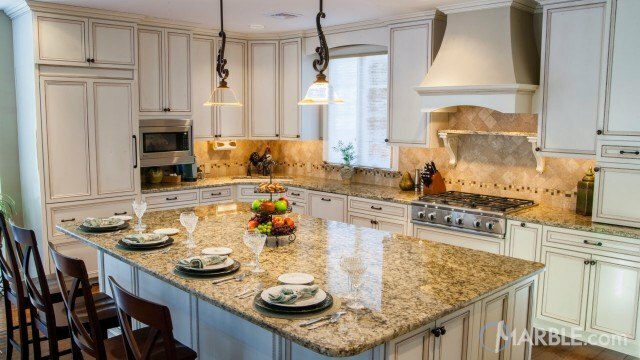 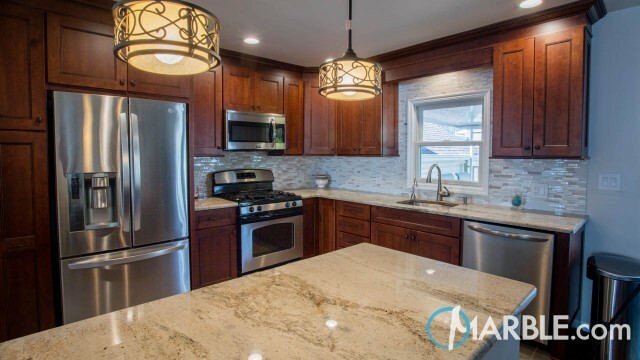 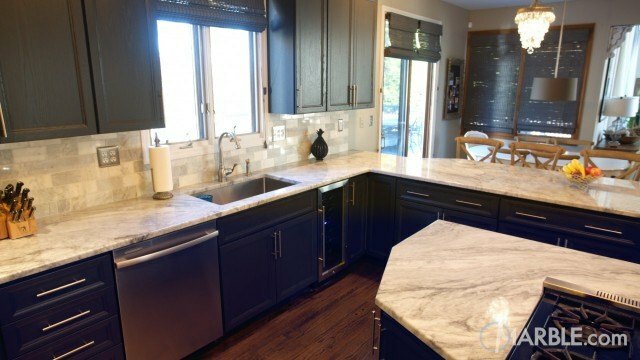 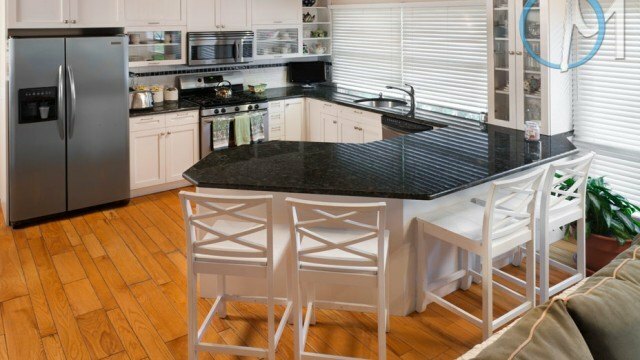 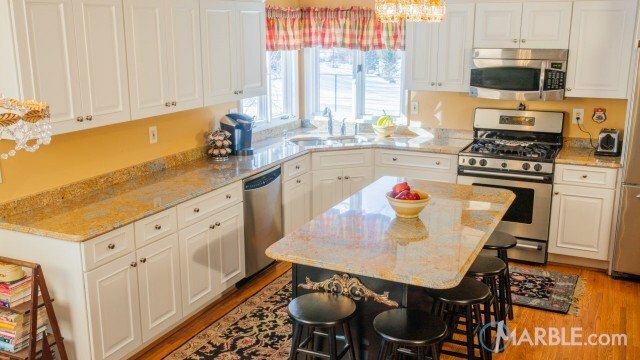 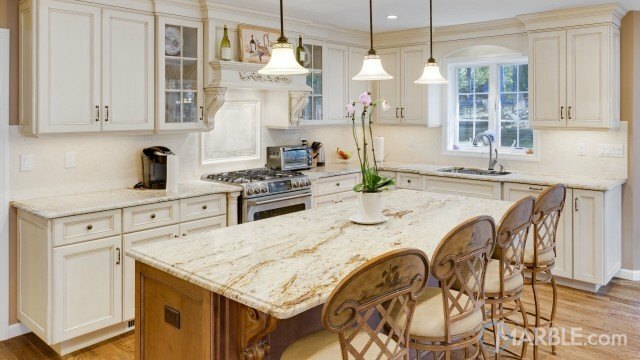 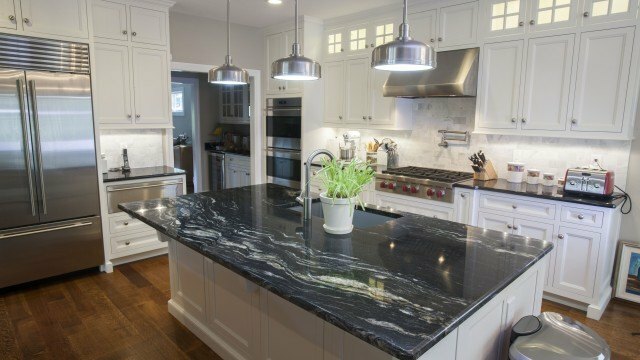 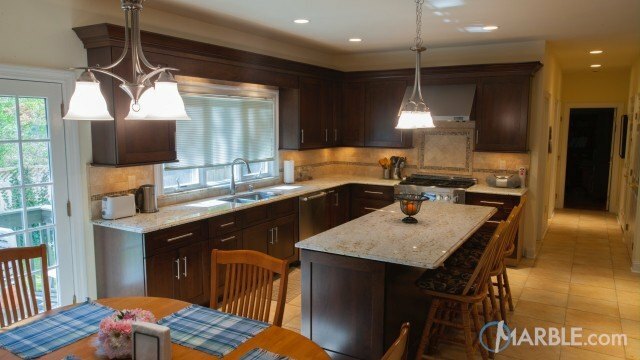 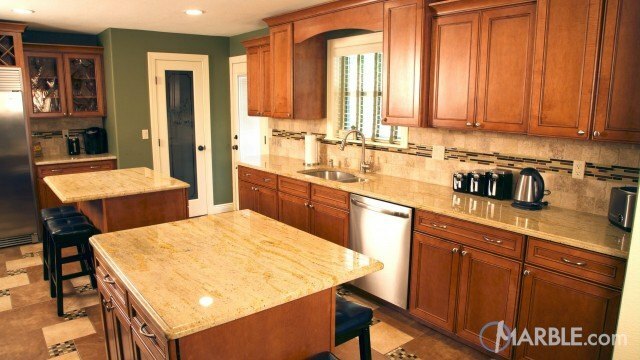 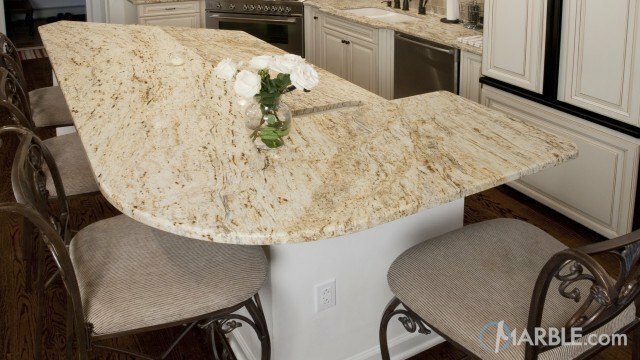 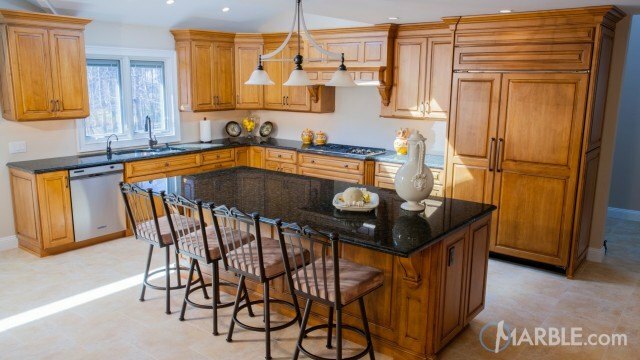 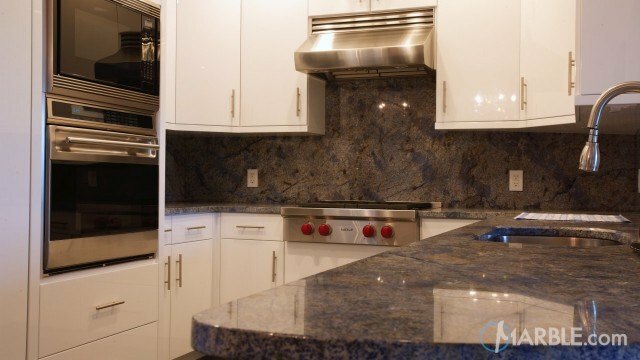 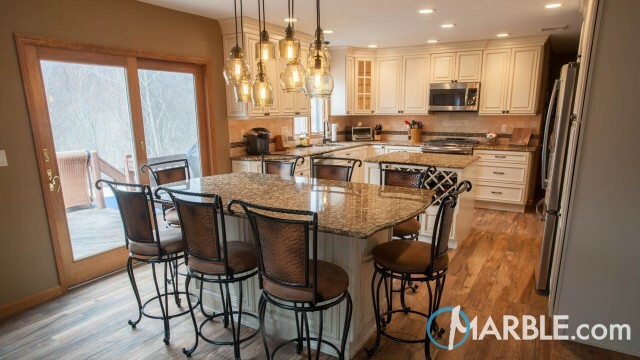 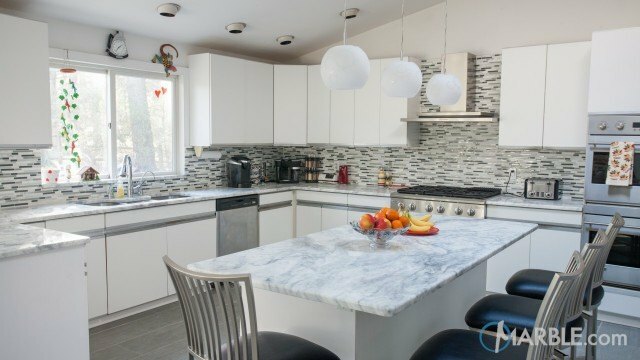 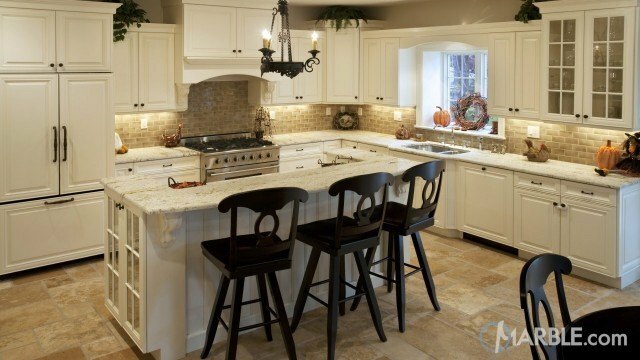 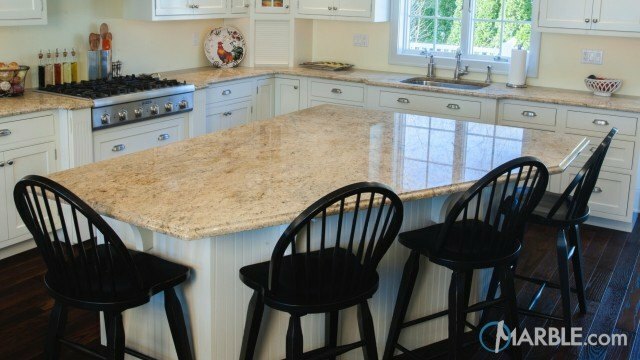 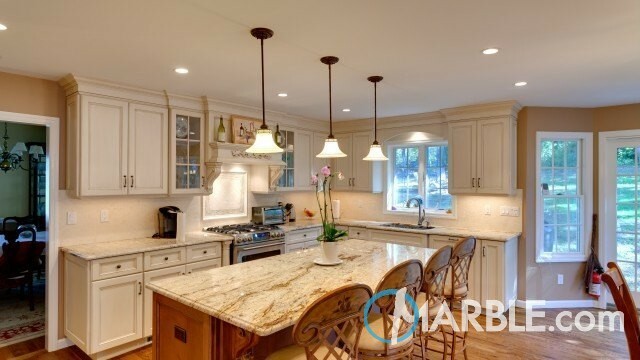 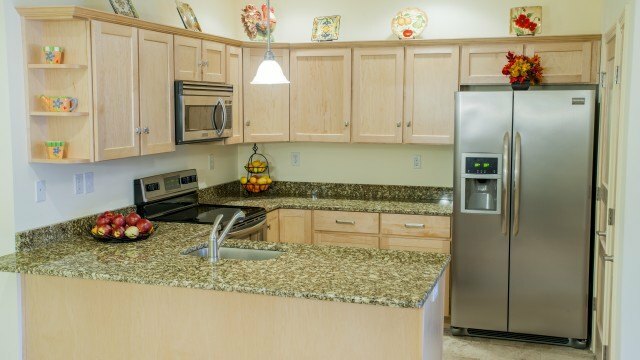 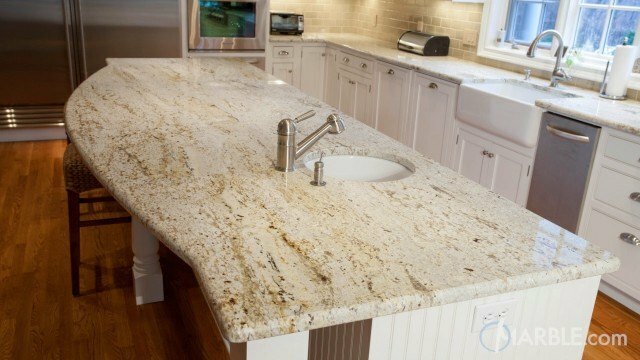 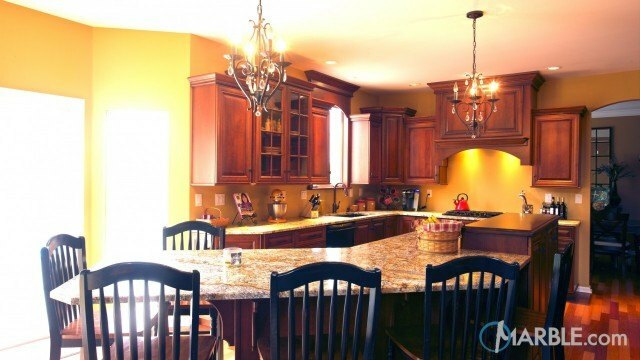 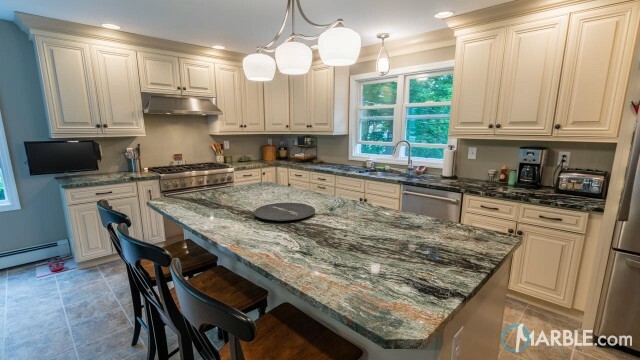 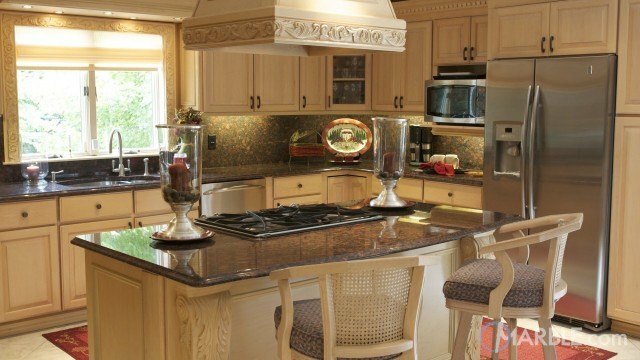 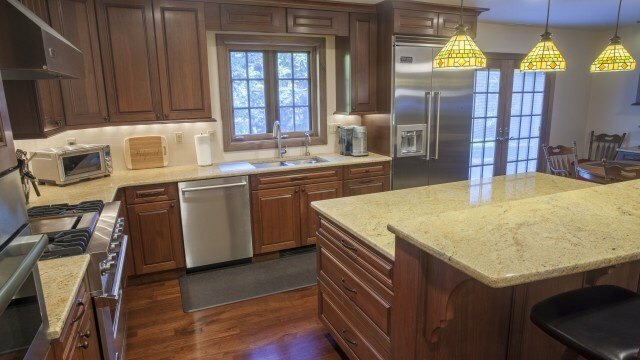 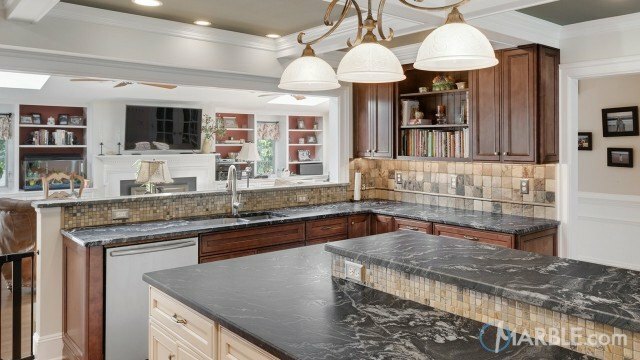 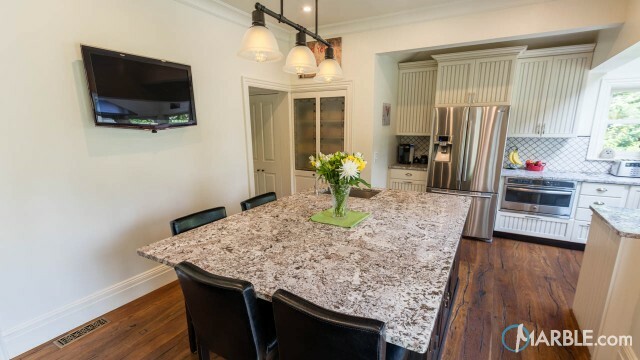 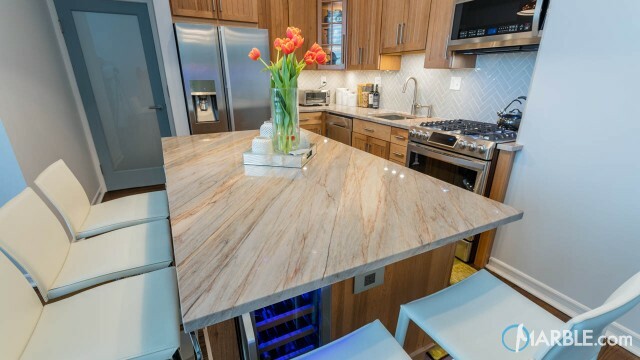 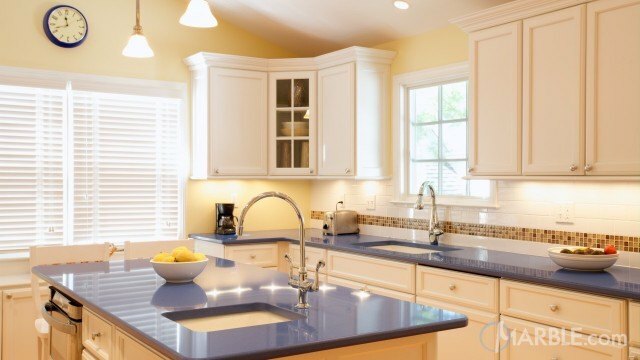 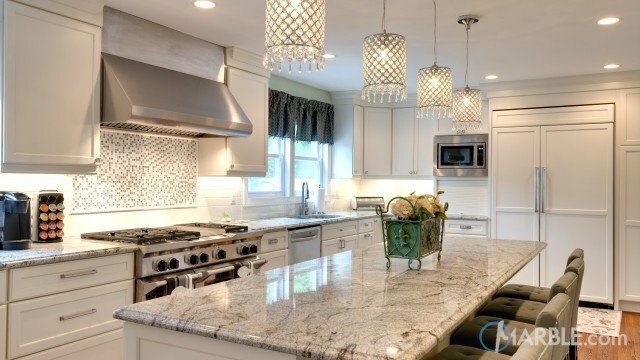 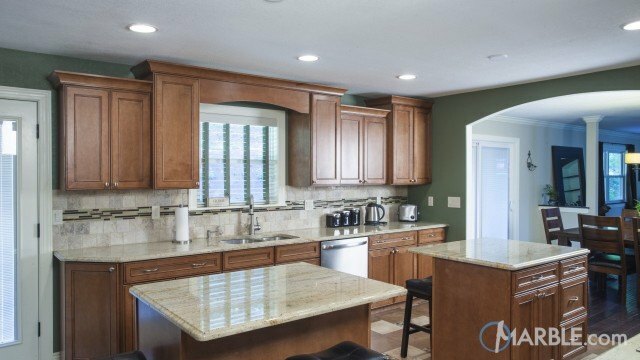 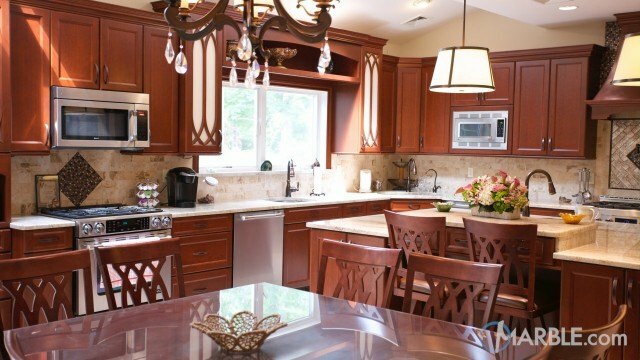 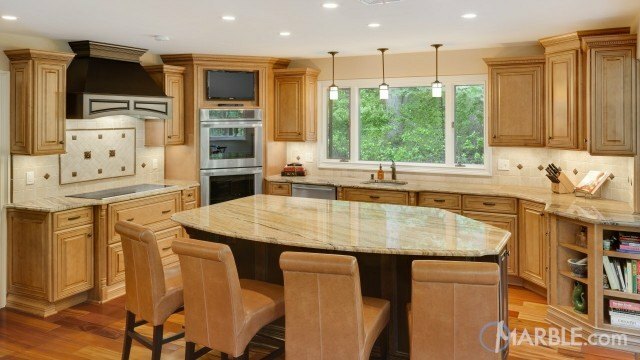 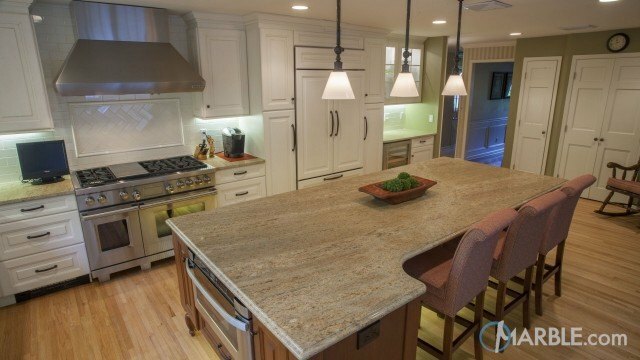 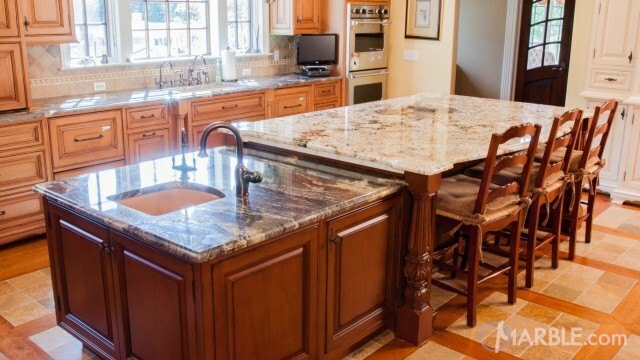 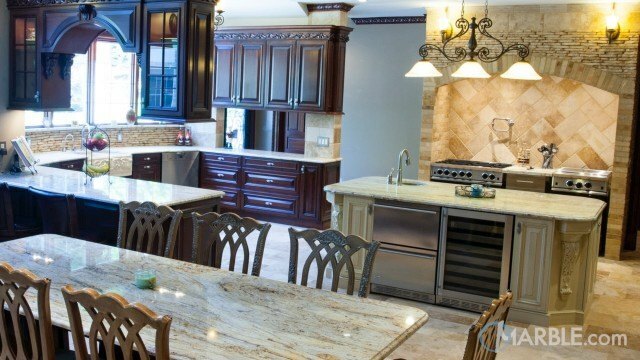 The light colors of the Brazilian Gold granite counter tops and white cabinets lighten up the room, while the dark wooden chairs and floors provide a warm and inviting contrast. 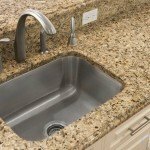 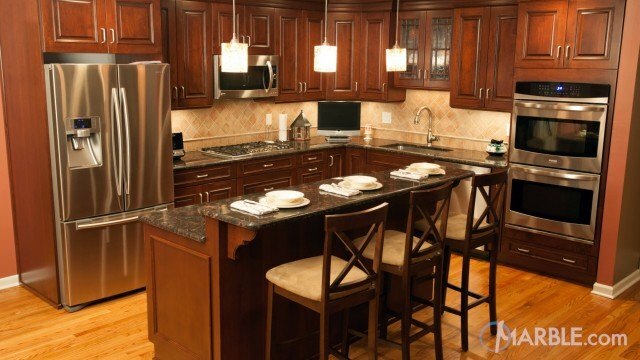 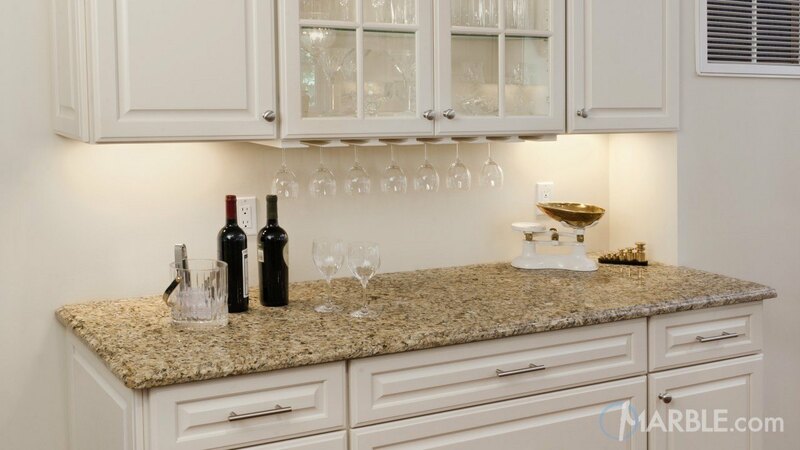 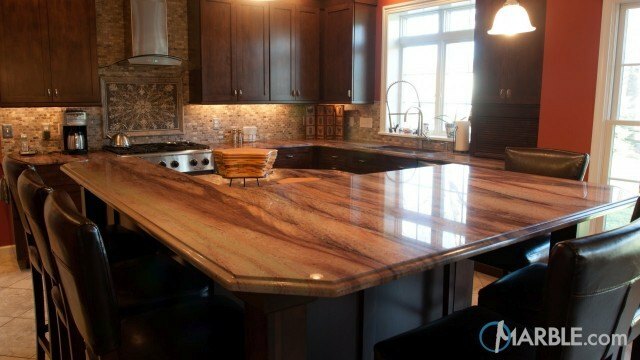 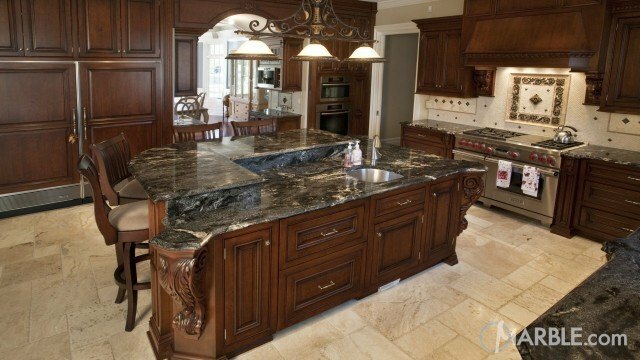 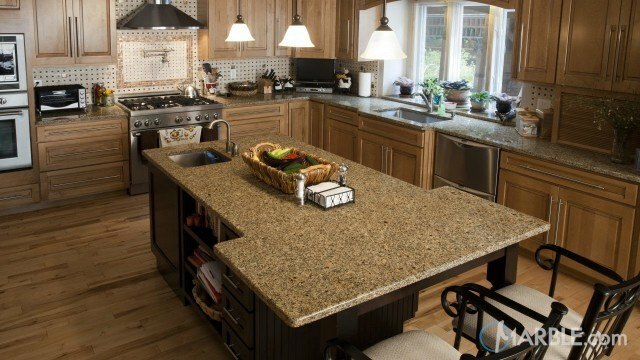 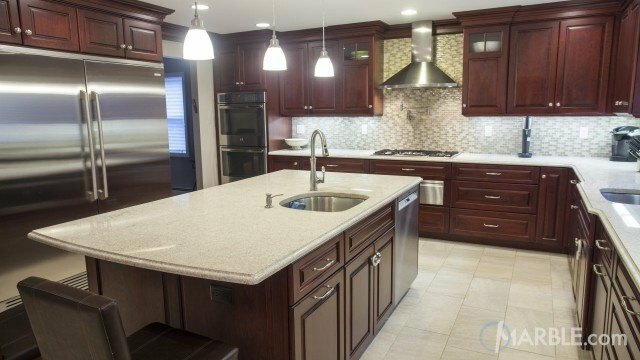 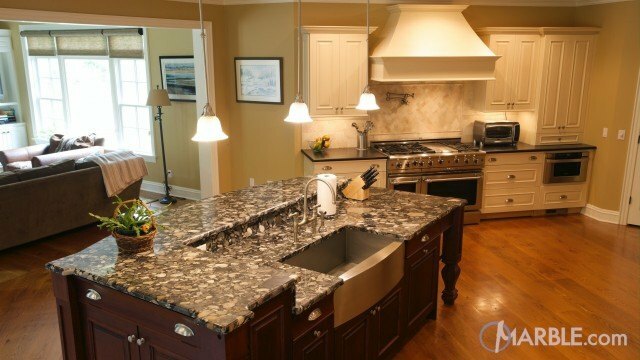 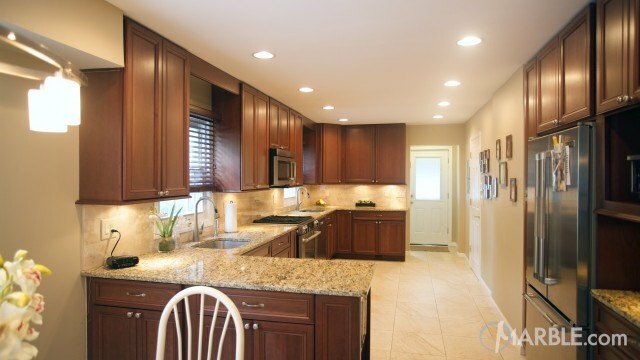 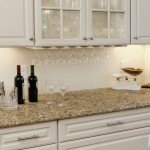 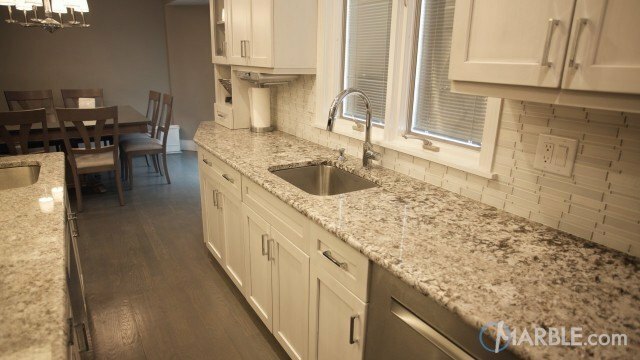 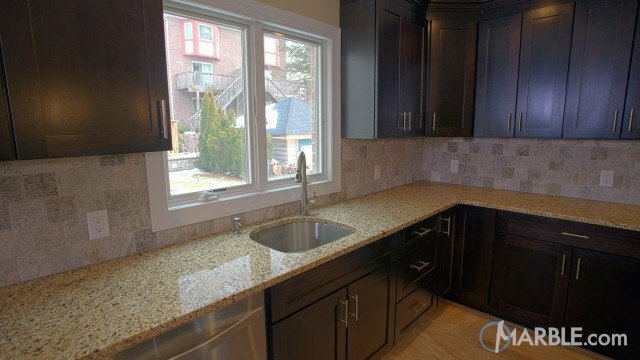 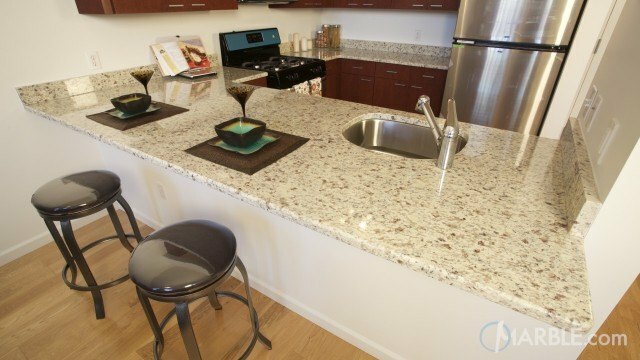 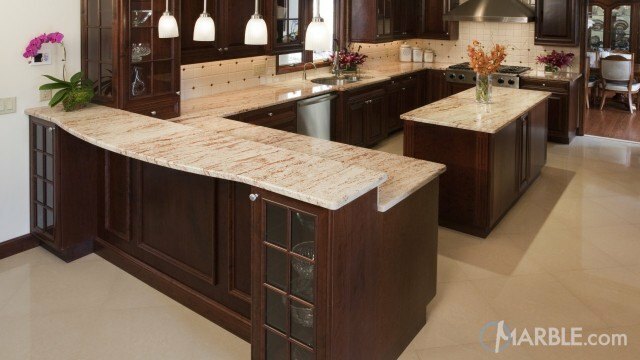 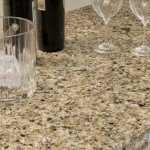 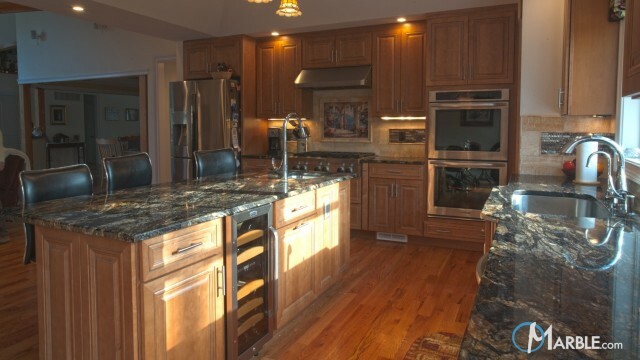 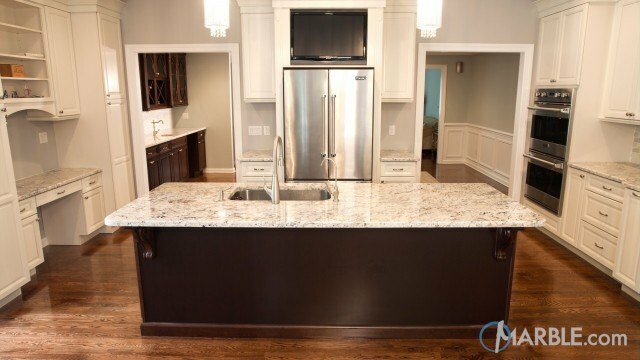 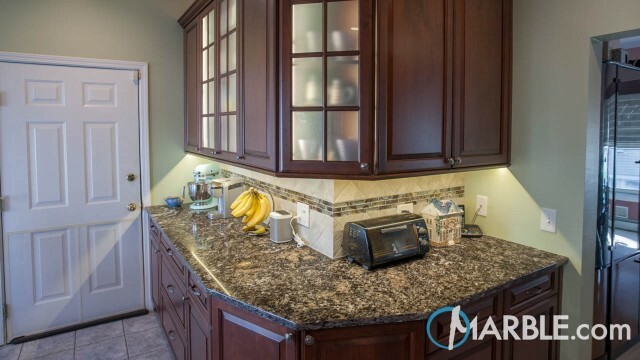 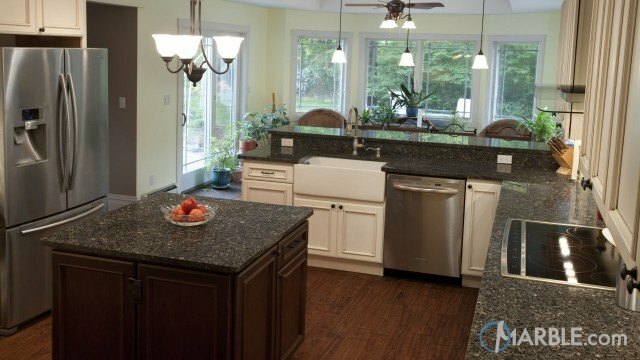 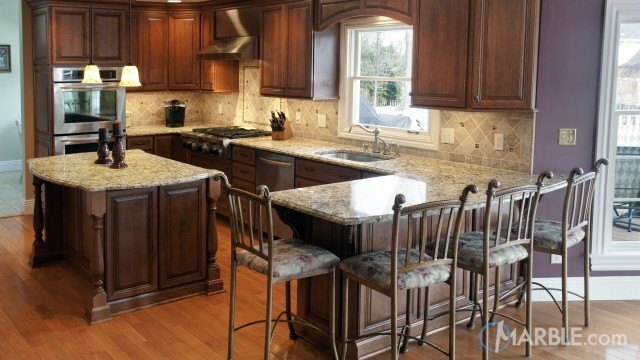 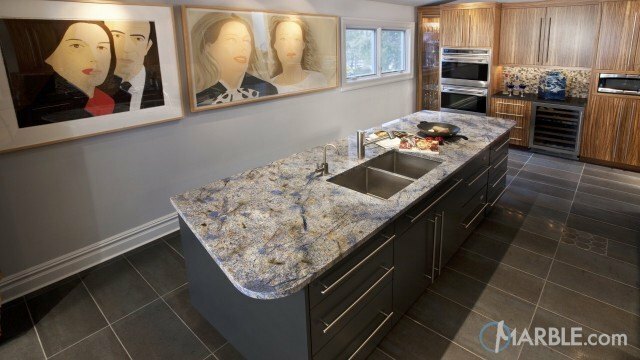 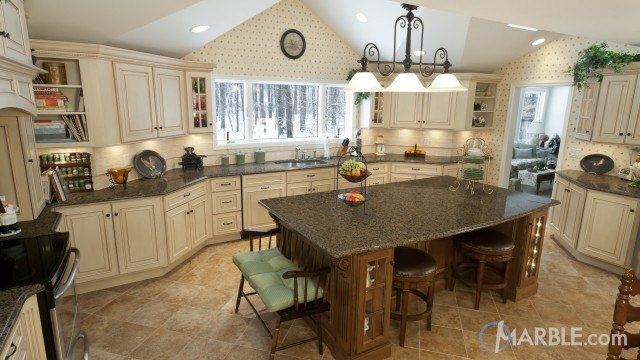 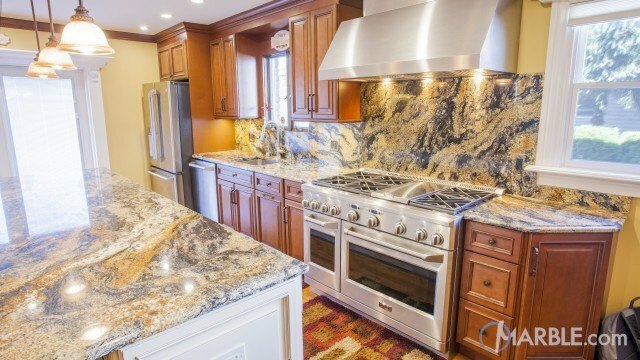 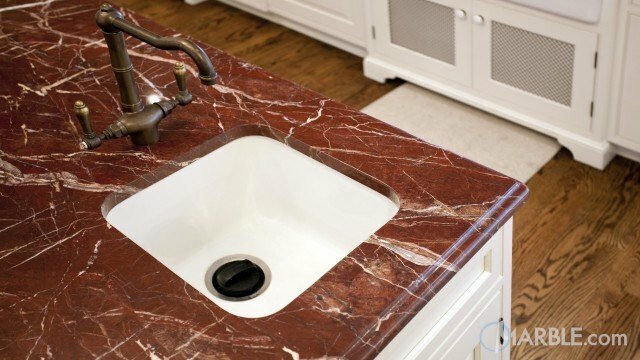 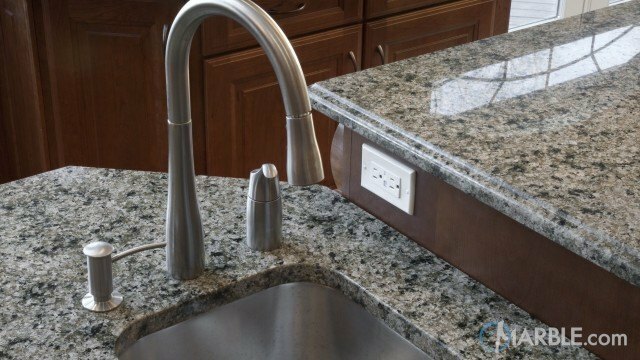 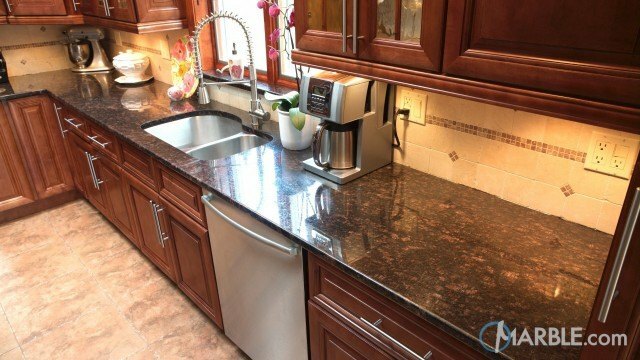 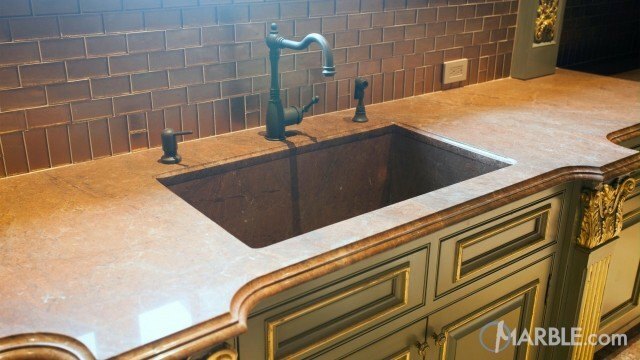 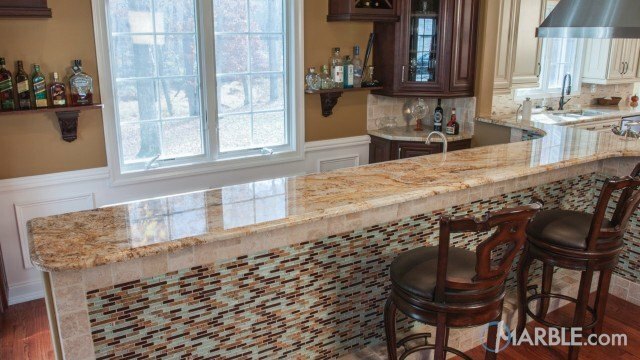 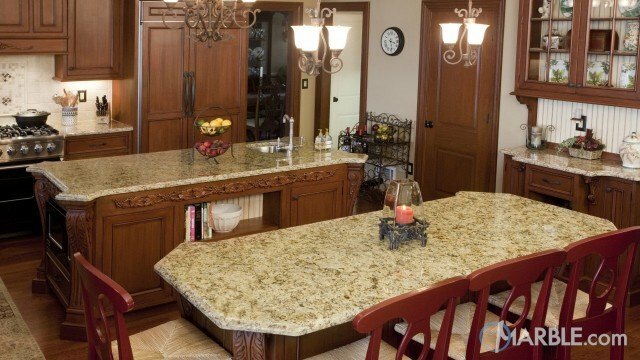 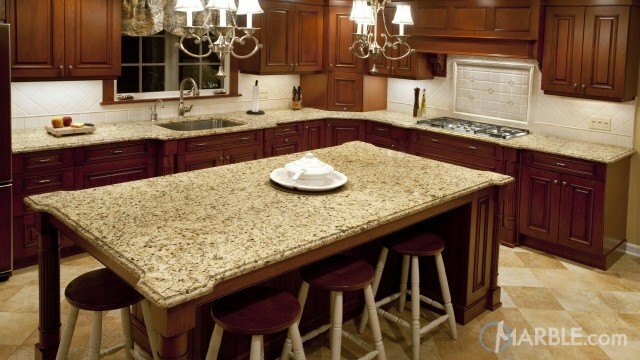 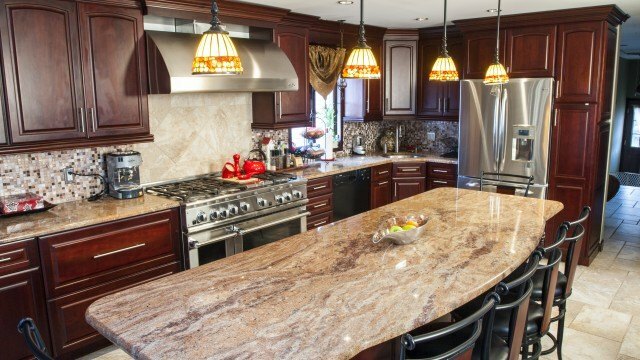 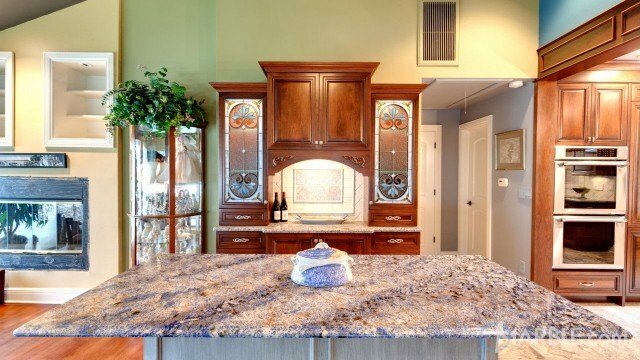 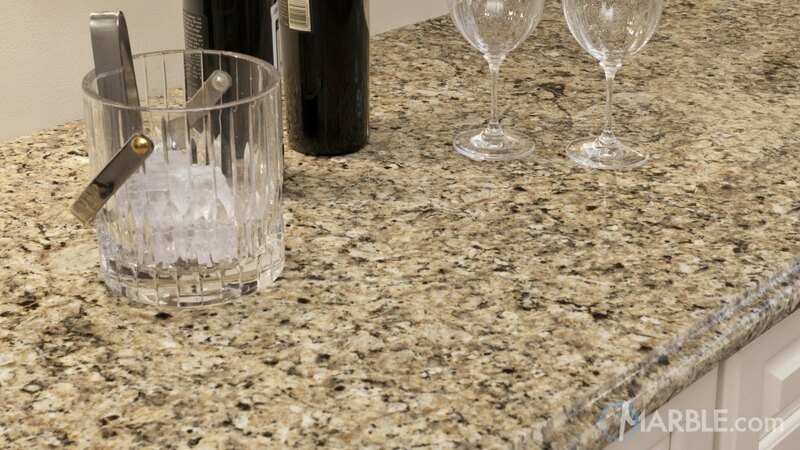 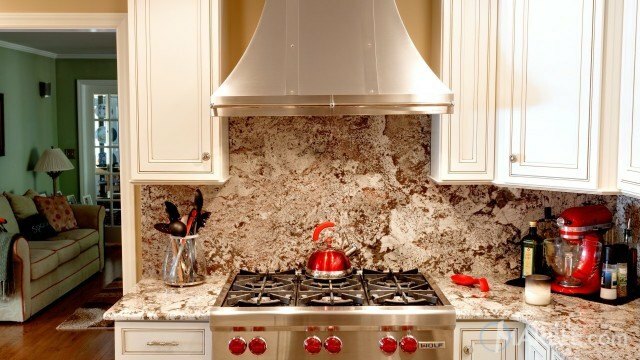 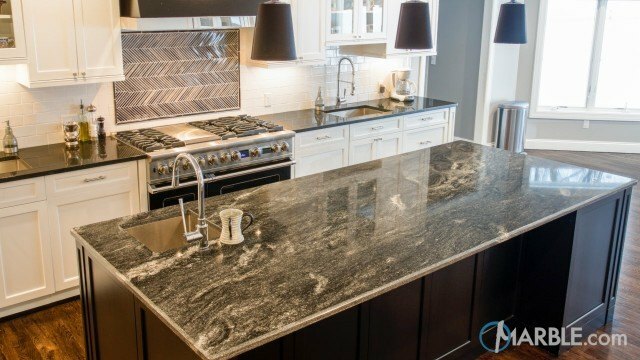 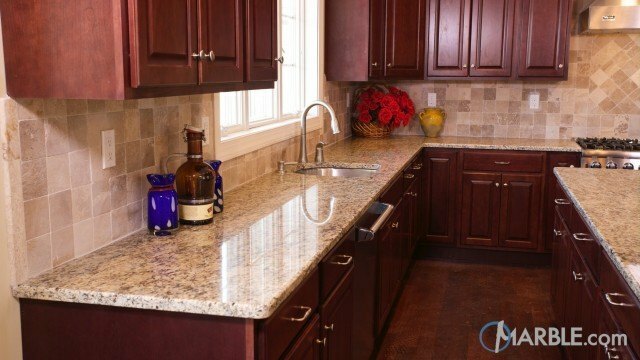 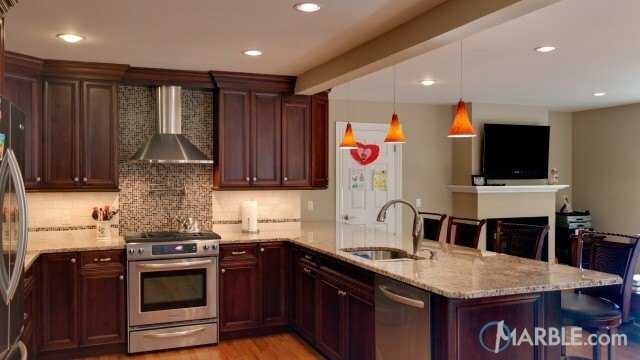 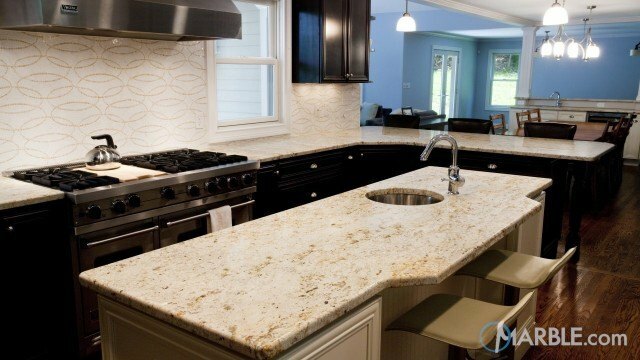 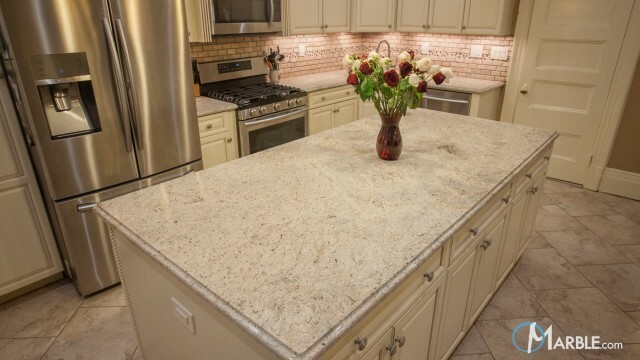 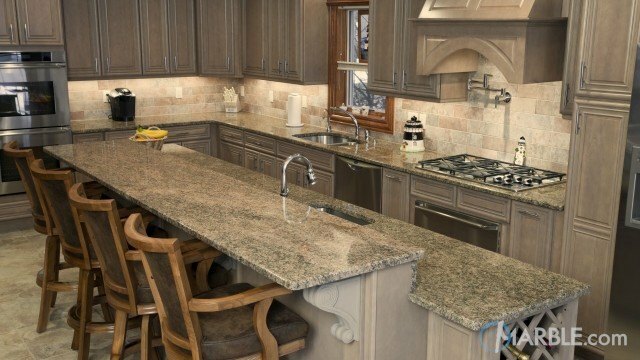 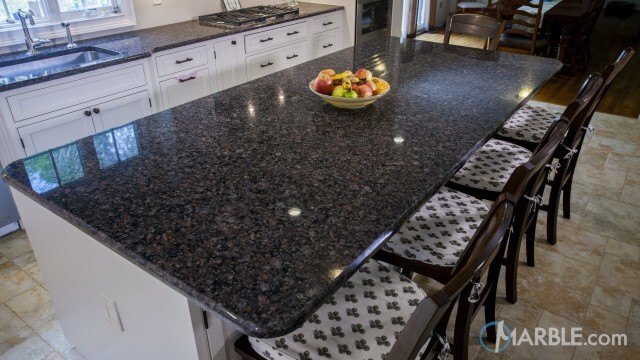 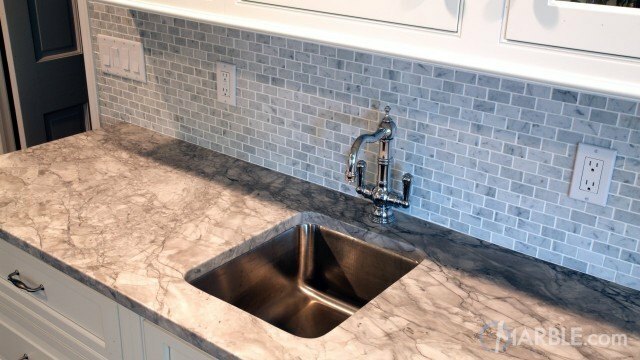 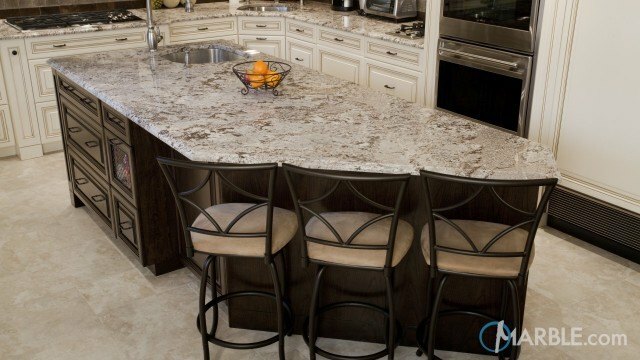 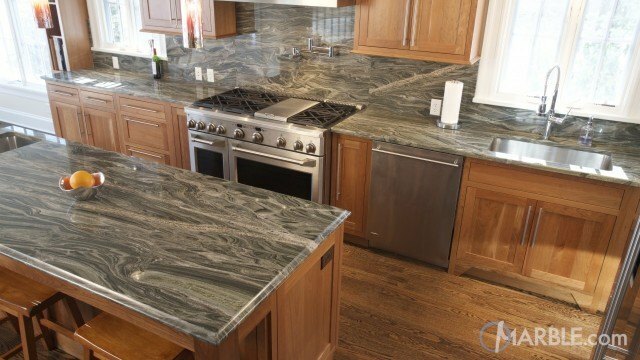 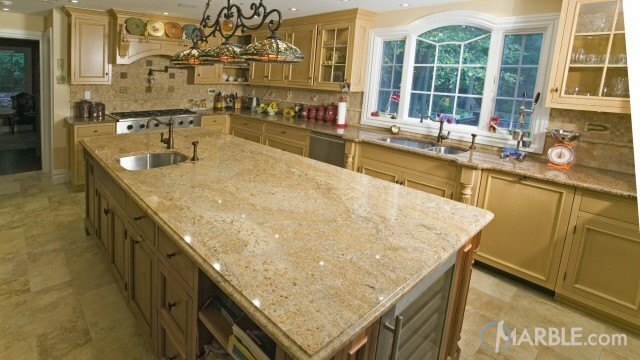 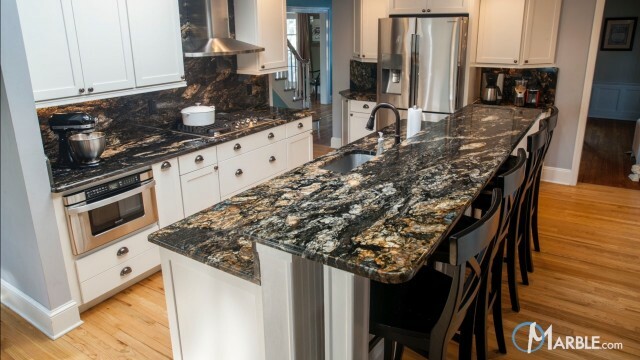 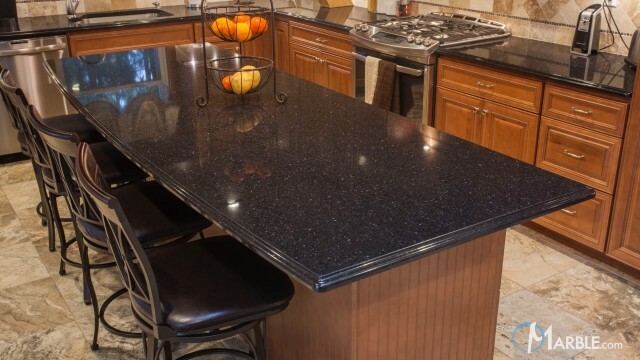 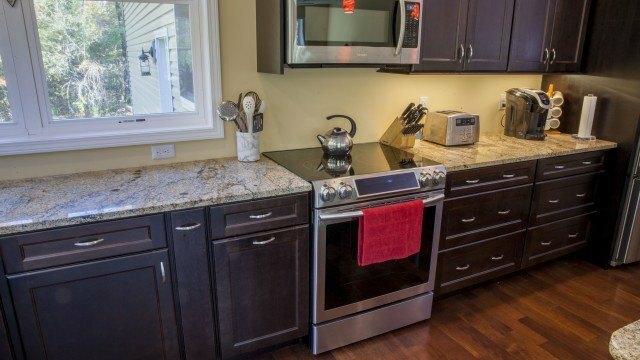 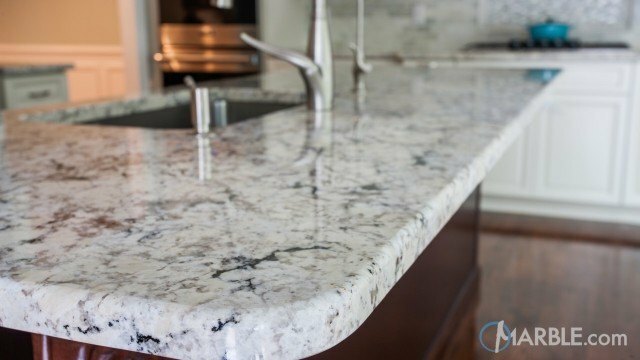 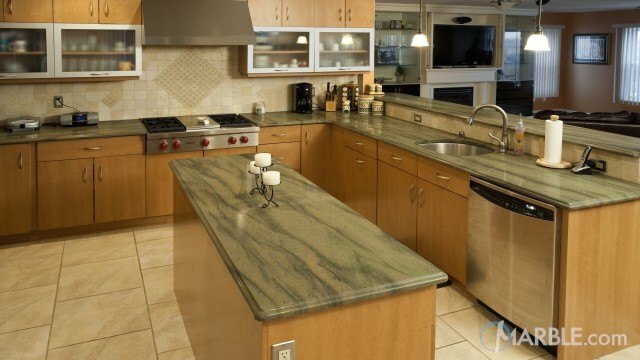 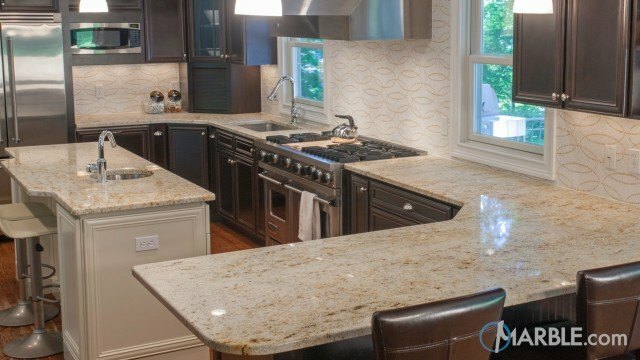 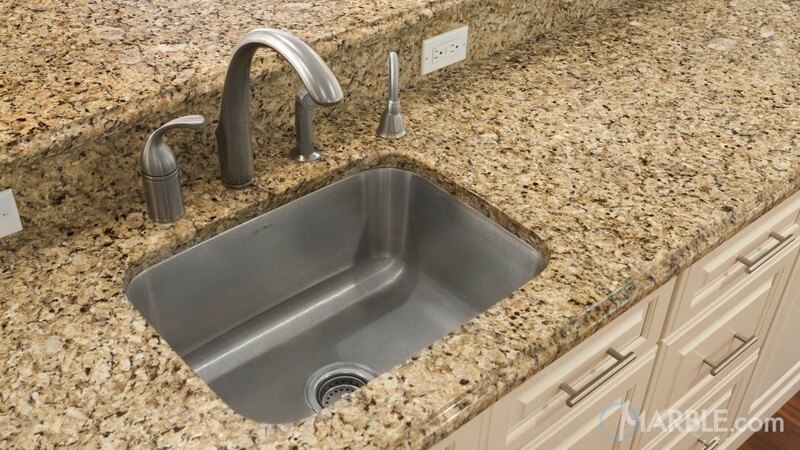 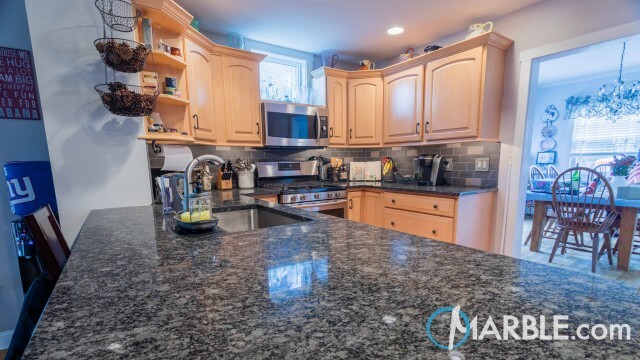 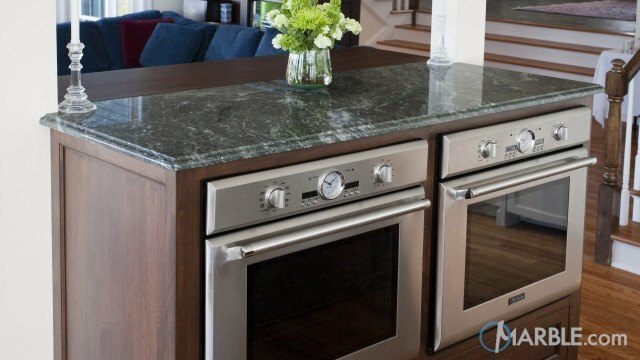 The black, brown and beige speckled look of this granite make it an exciting addition to this room.